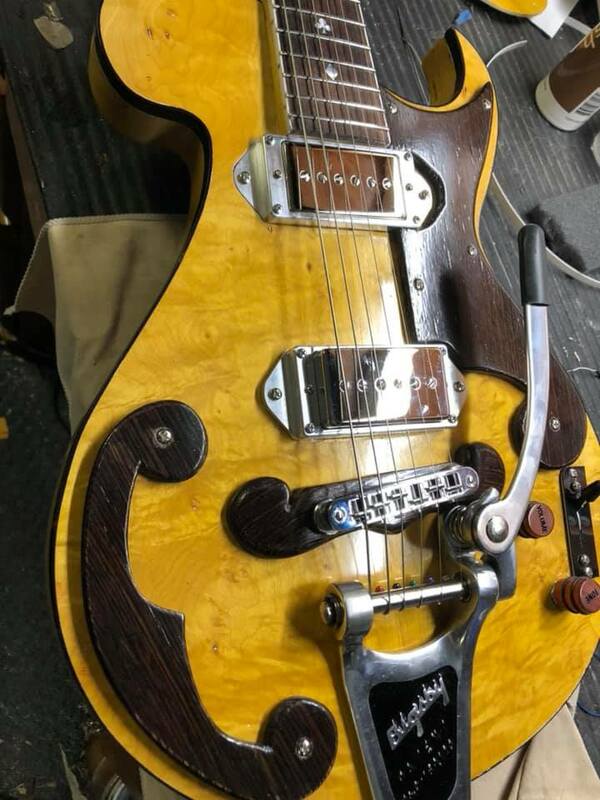 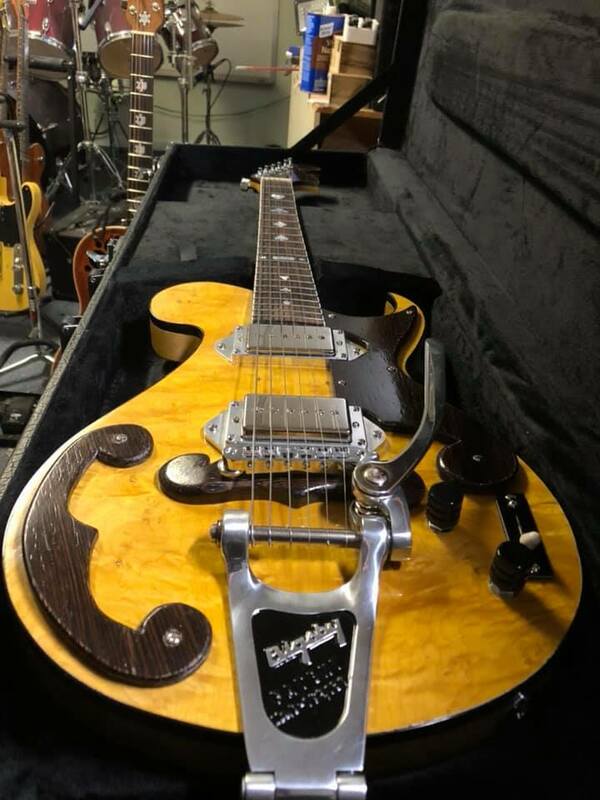 This guitar was commissioned by a customer who wanted one of the Bigsby reissues that came out a few years back. 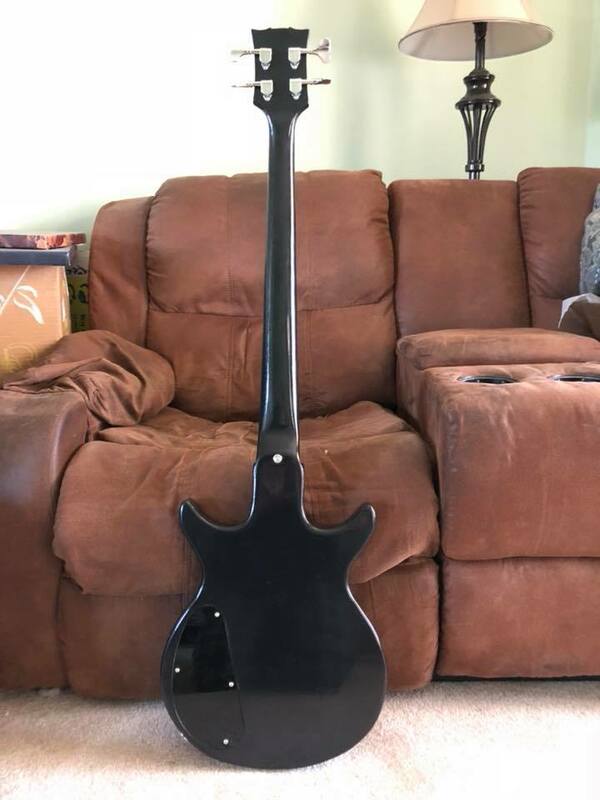 They are very hard to come by, so he decided to have me build one for him. 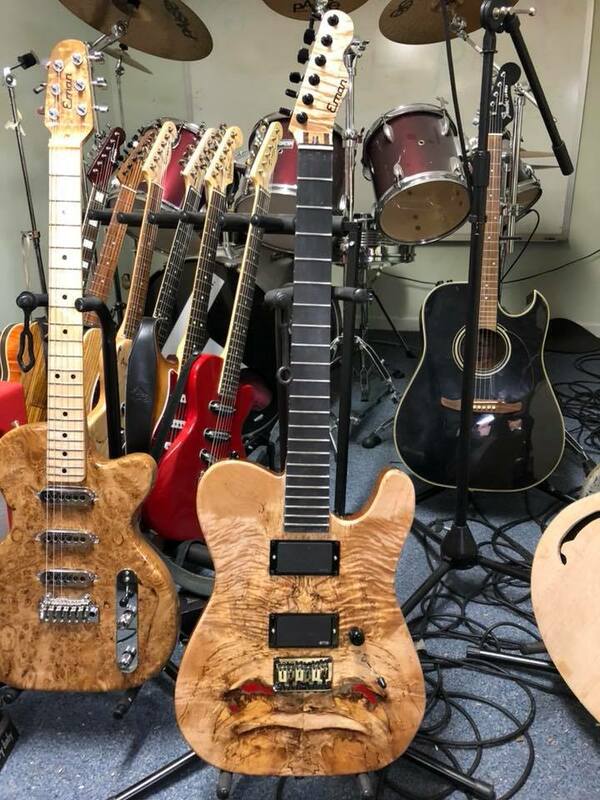 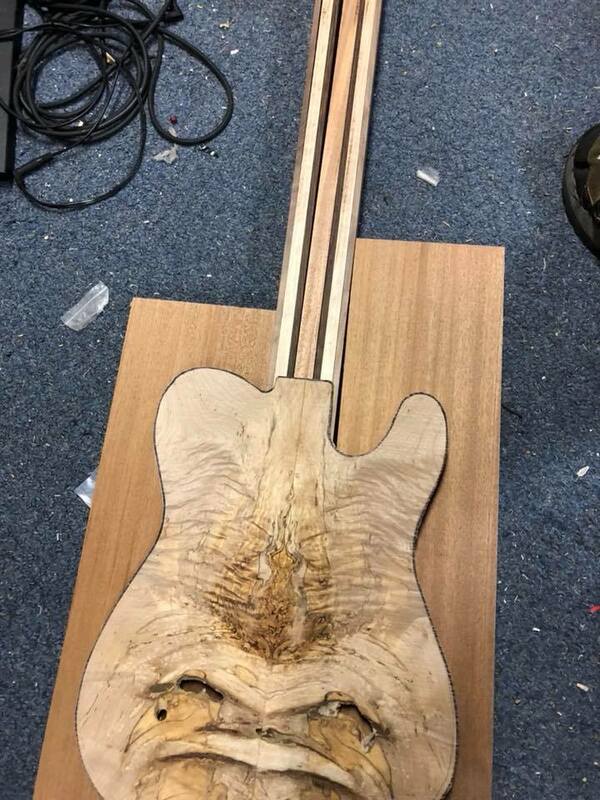 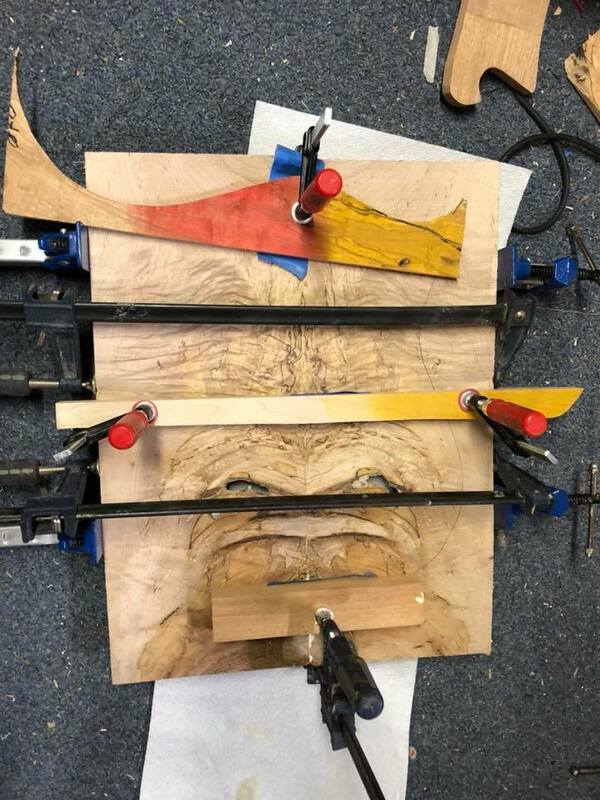 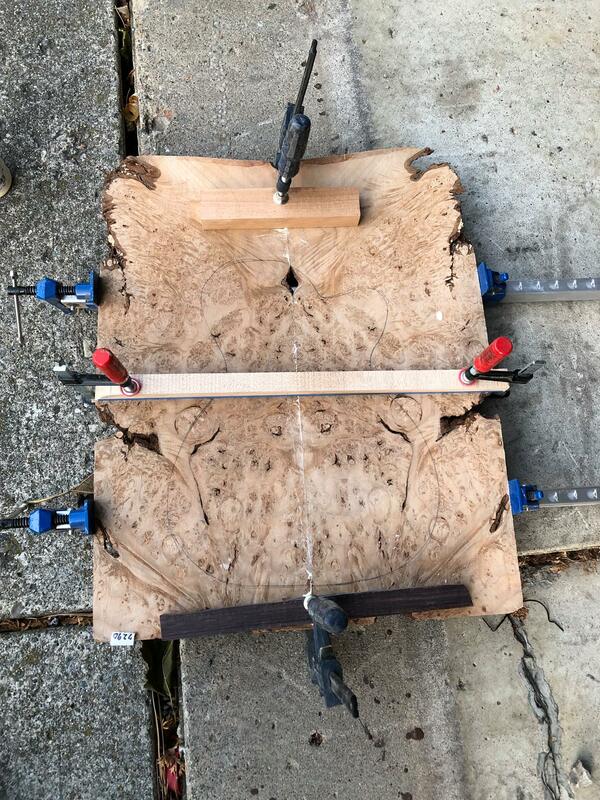 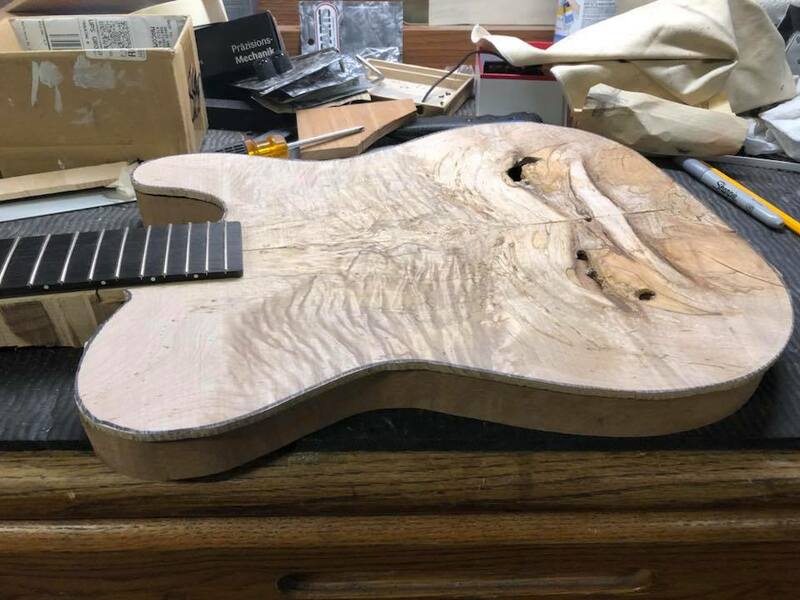 All maple construction, birds eye maple top, big leaf maple body and rock maple neck. 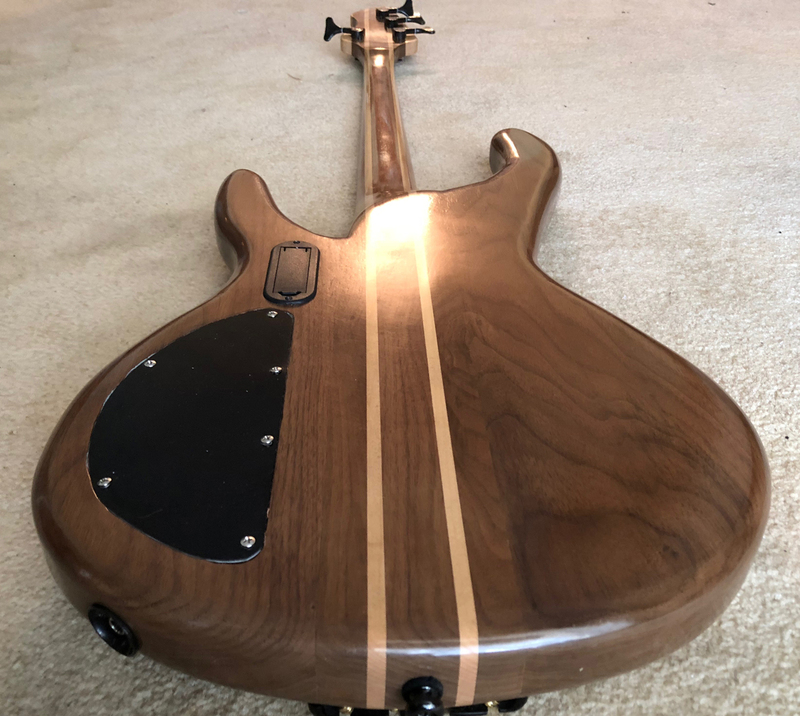 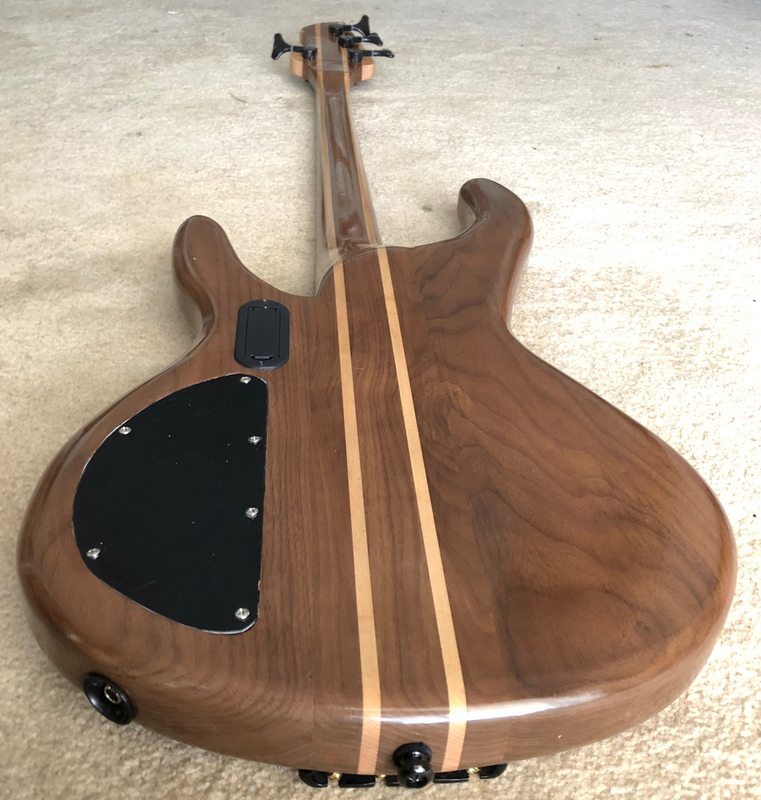 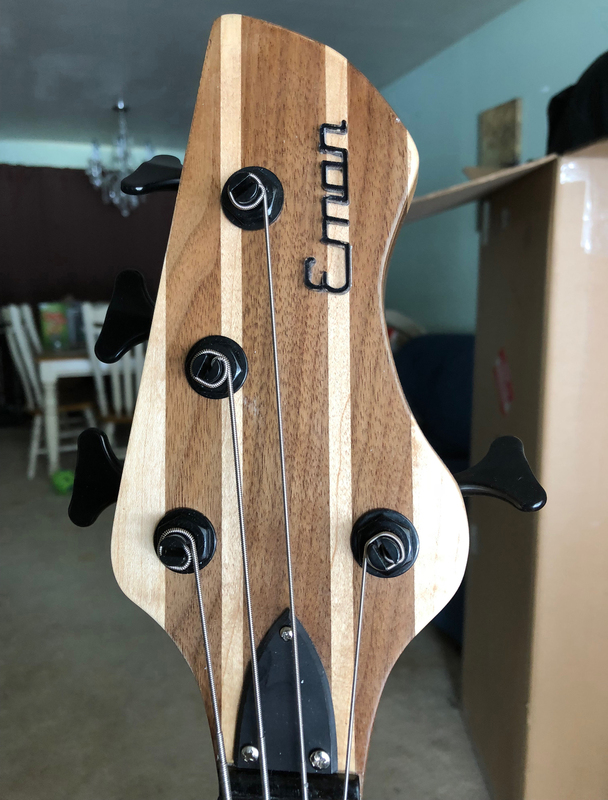 The accents are done in wenge. 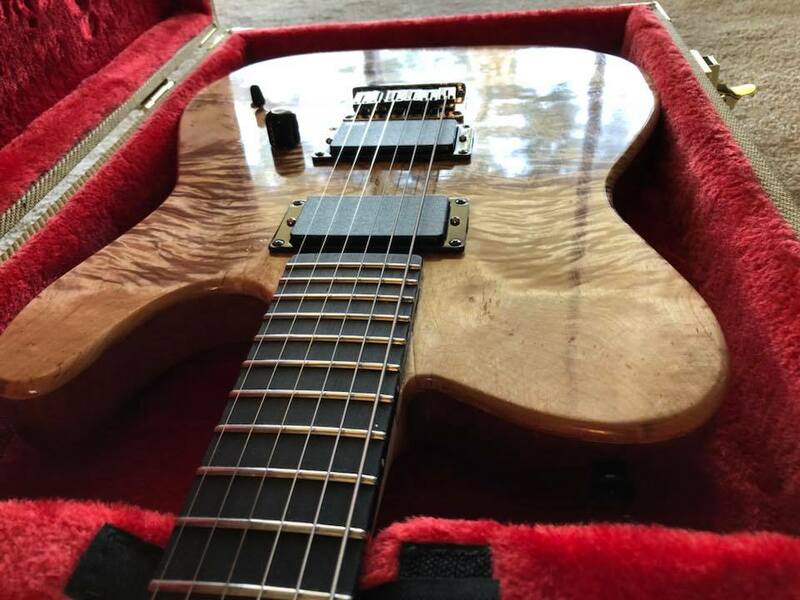 Pickups are Seymour Duncan Phat Cats in one-off aluminum surrounds. 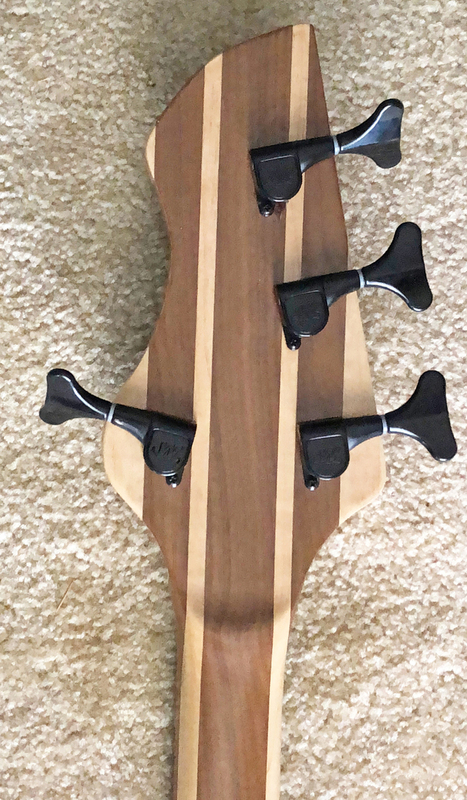 Bridfge is Schaller and the tuners are Schaller DaVinci. 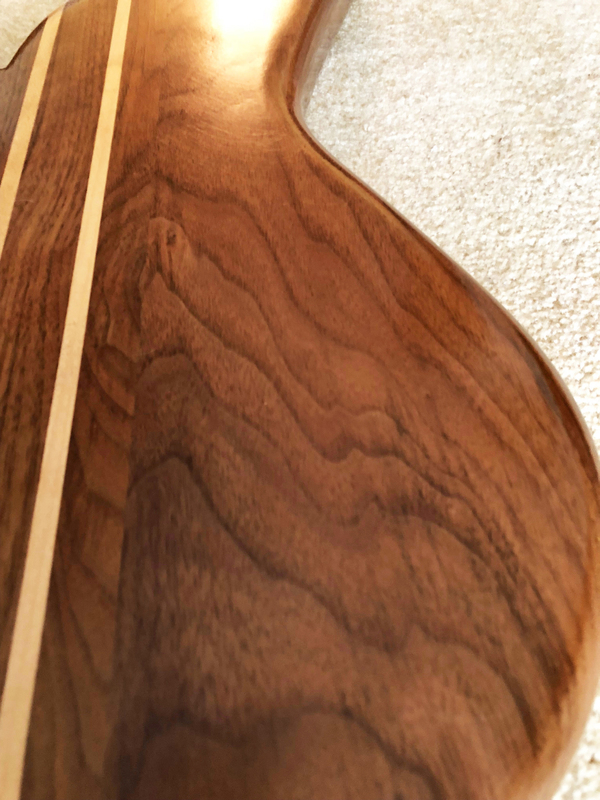 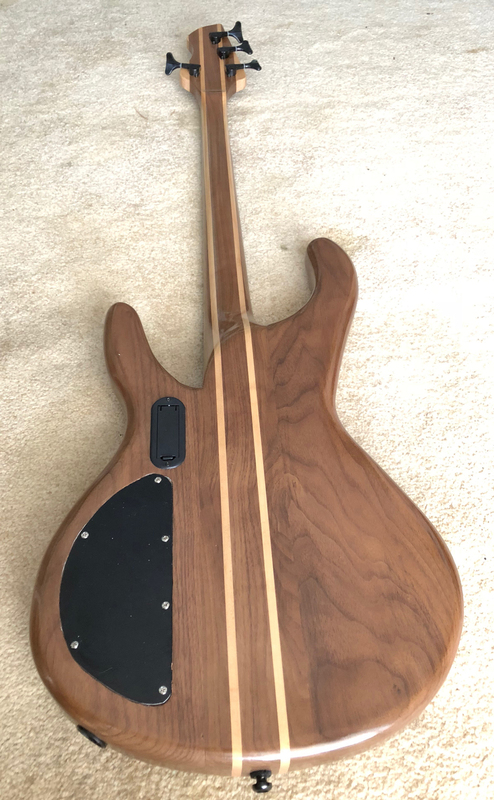 Rosewood fretboard with real MOP inlays and 12″ radius. 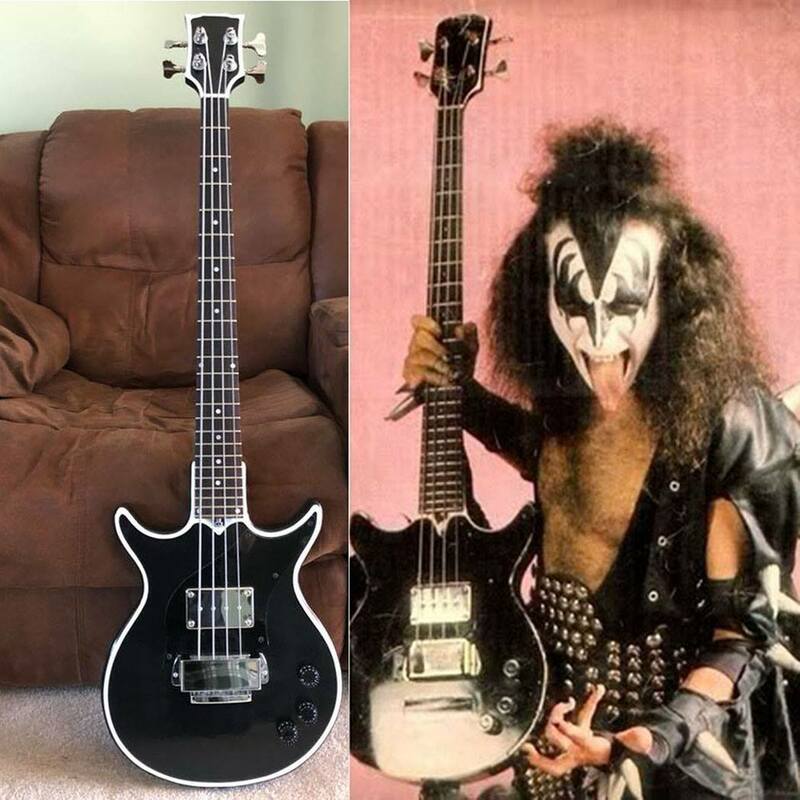 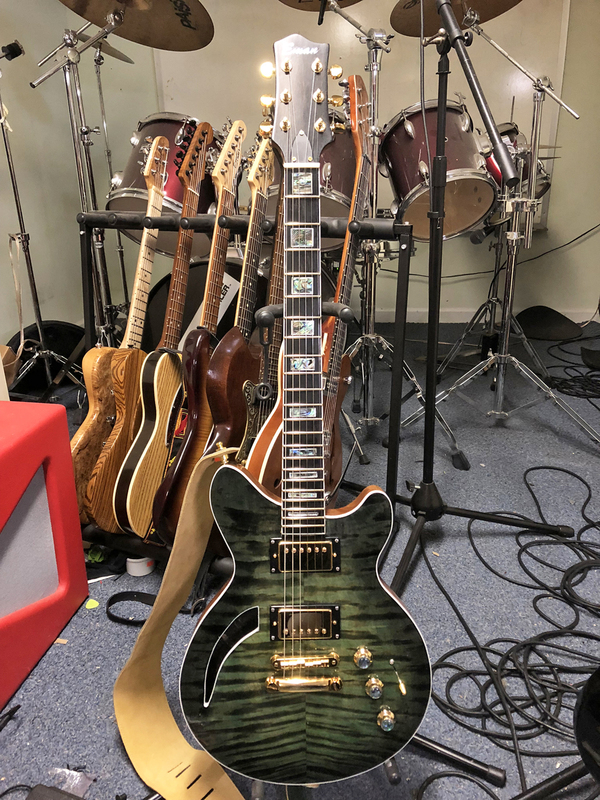 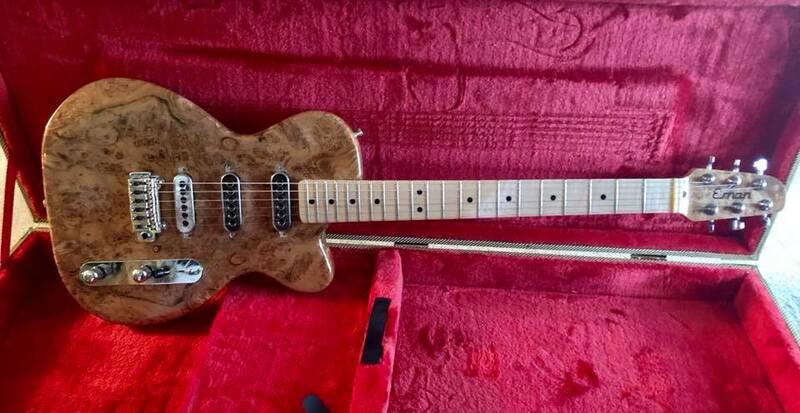 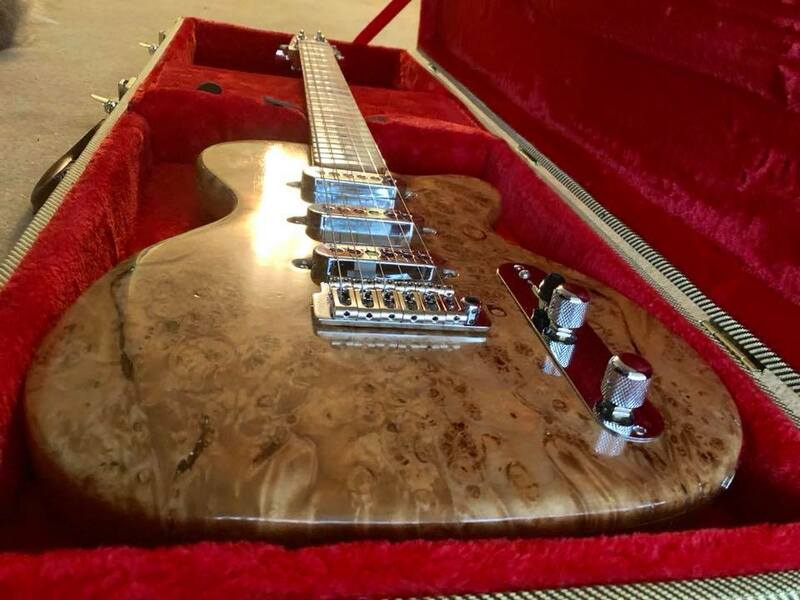 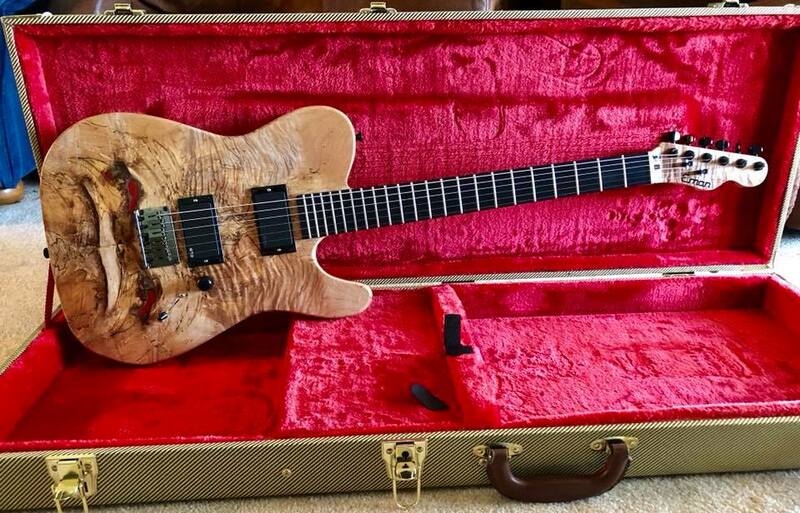 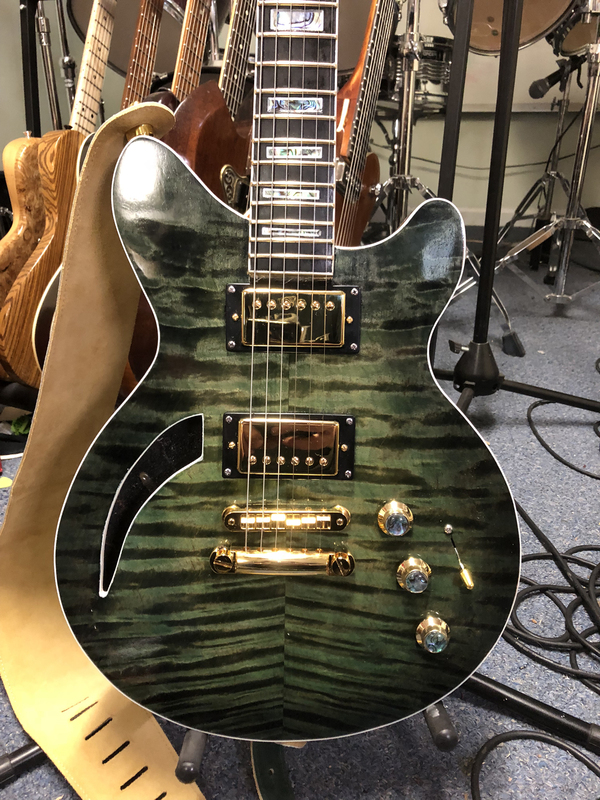 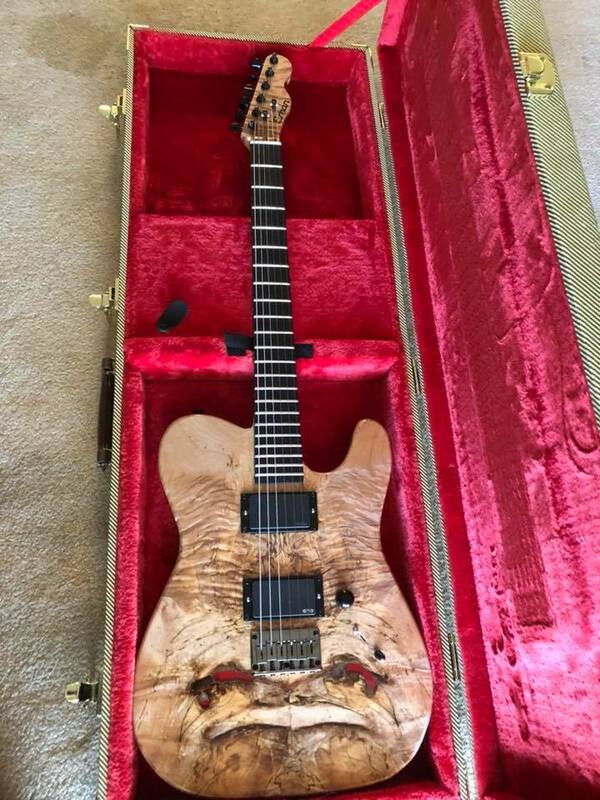 This build was for a customer who already bought two guitars from me… he knows what he likes! 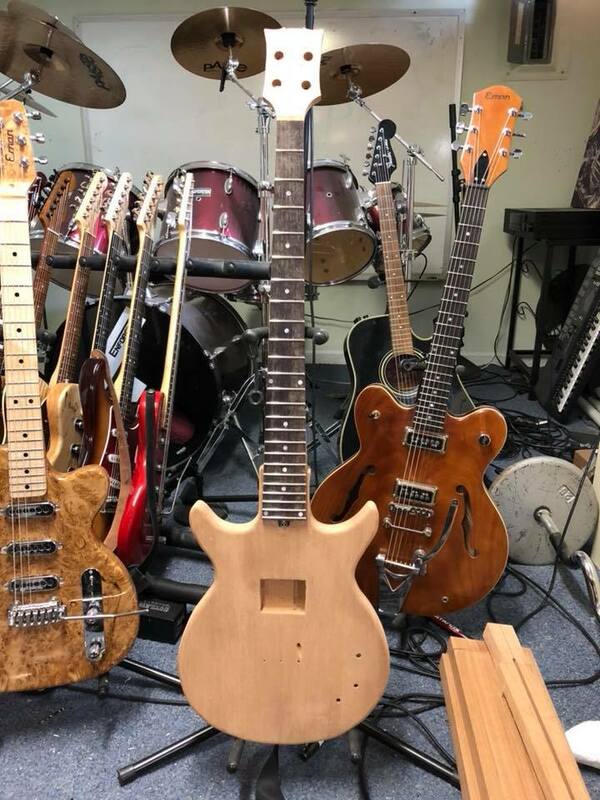 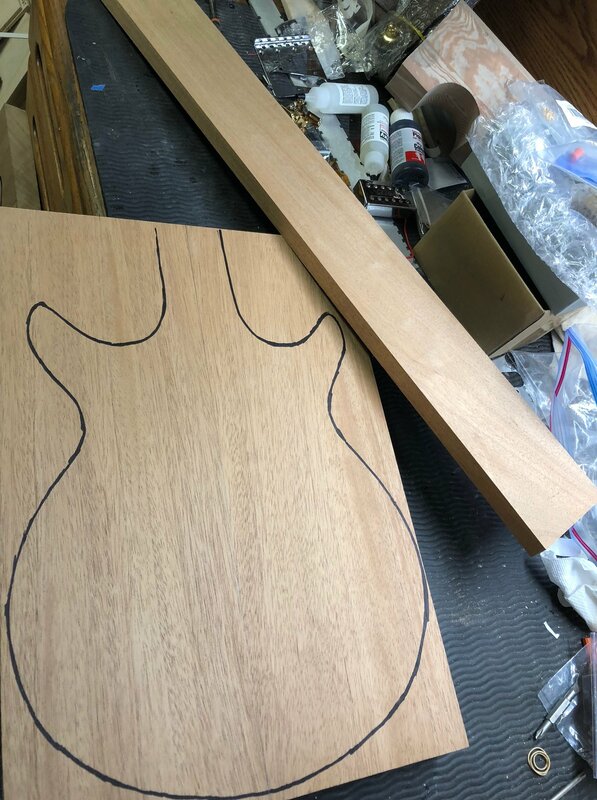 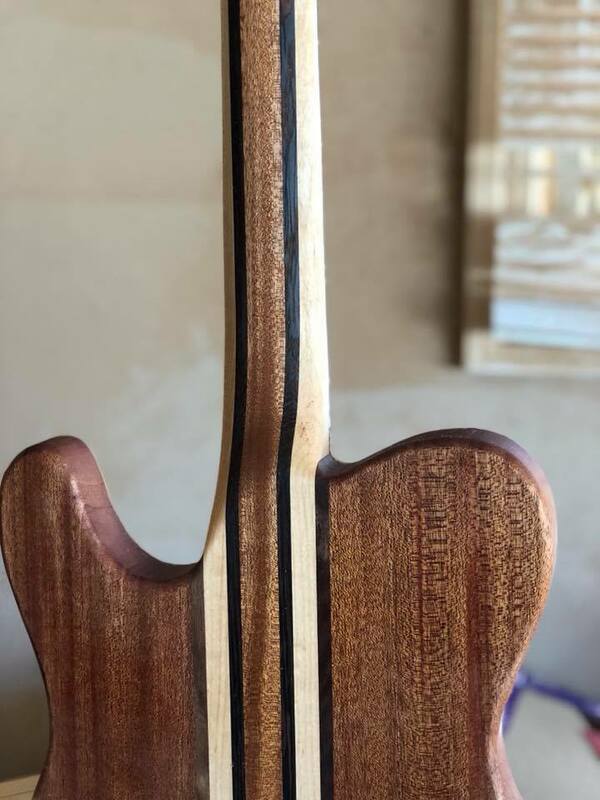 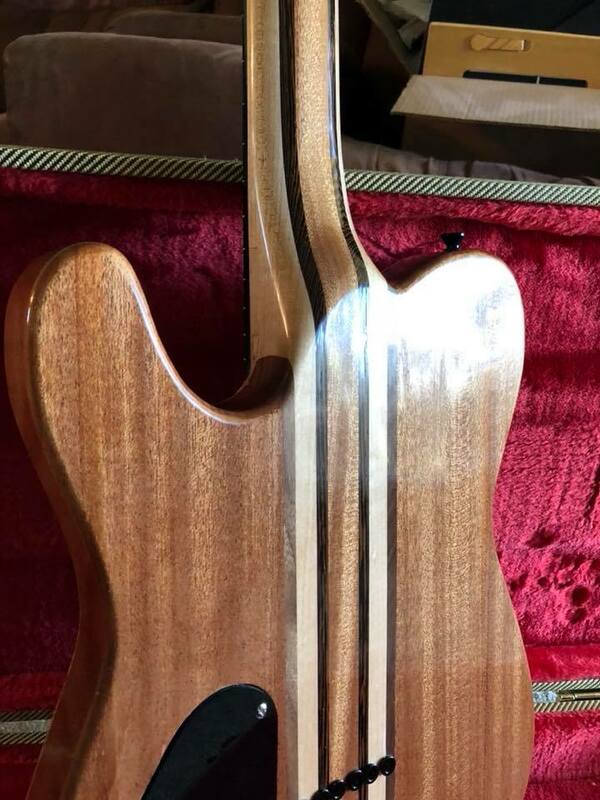 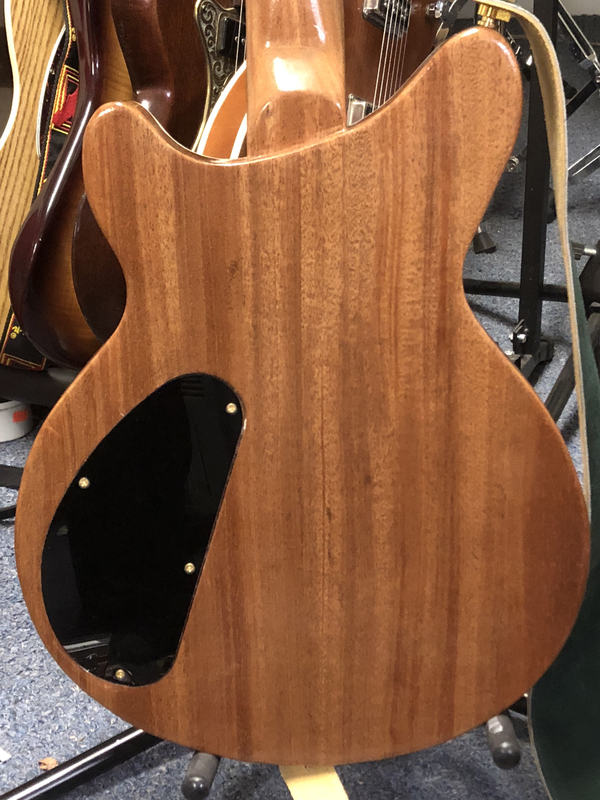 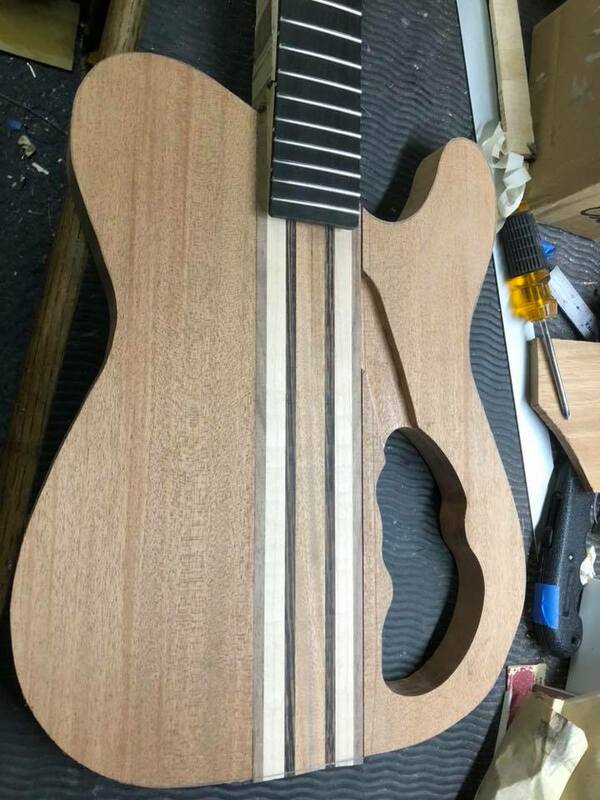 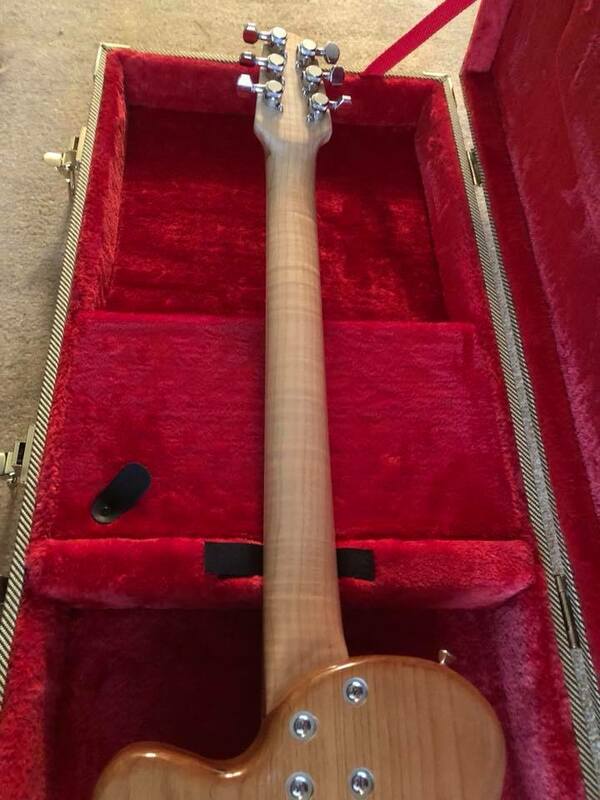 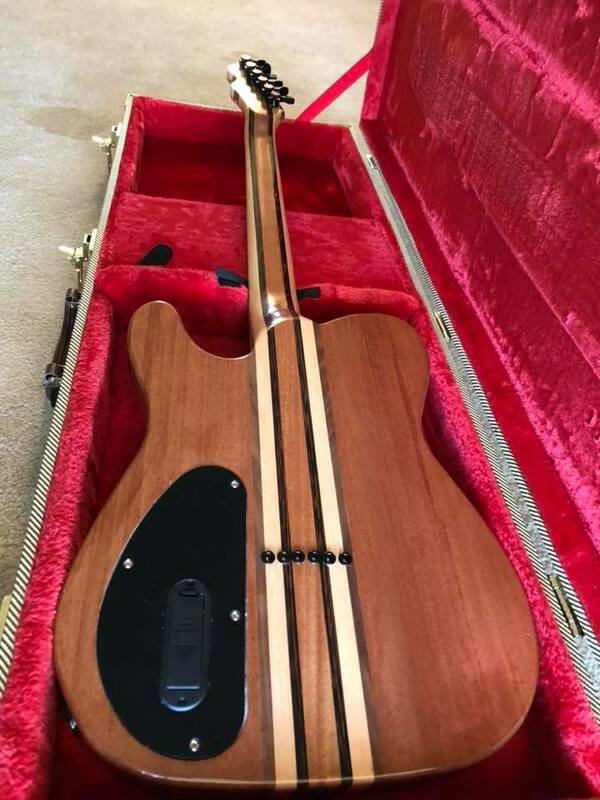 Mahogany neck and body, maple top. 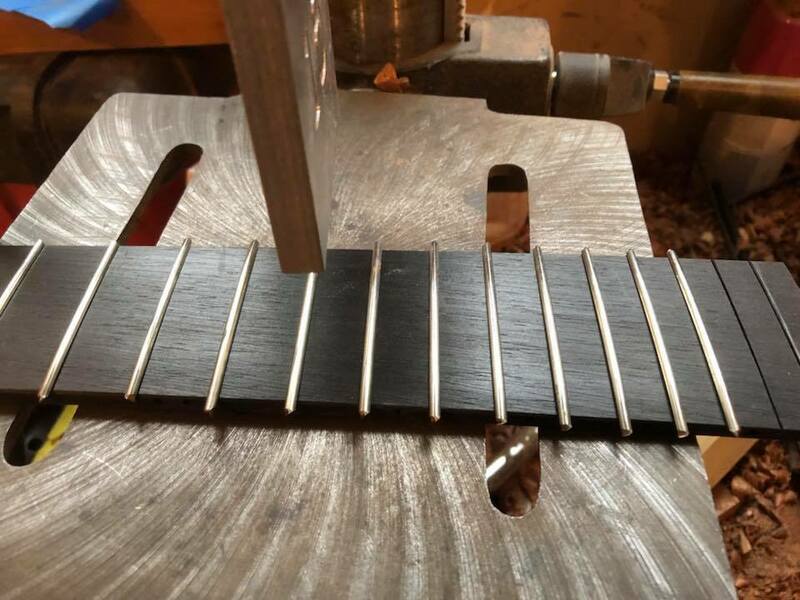 Ebony fingerboard with gold EVO frets. 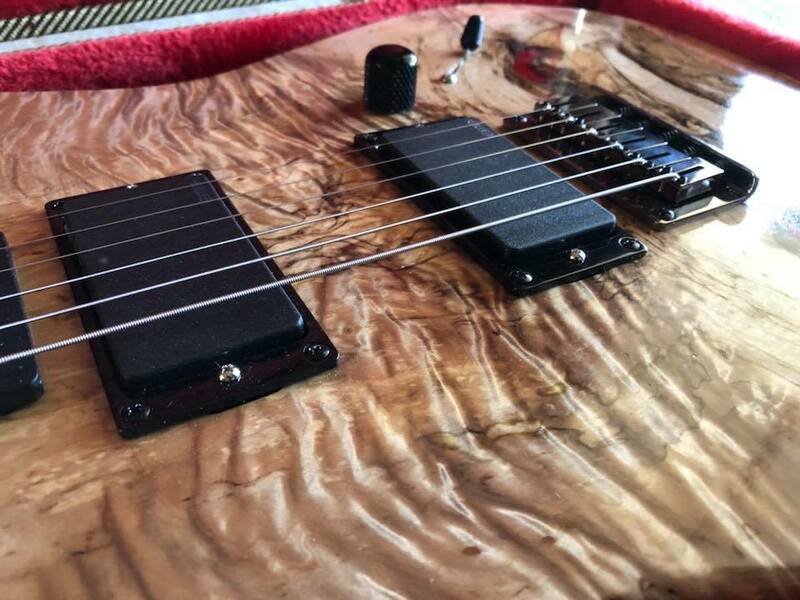 Seymour Duncan pickups. 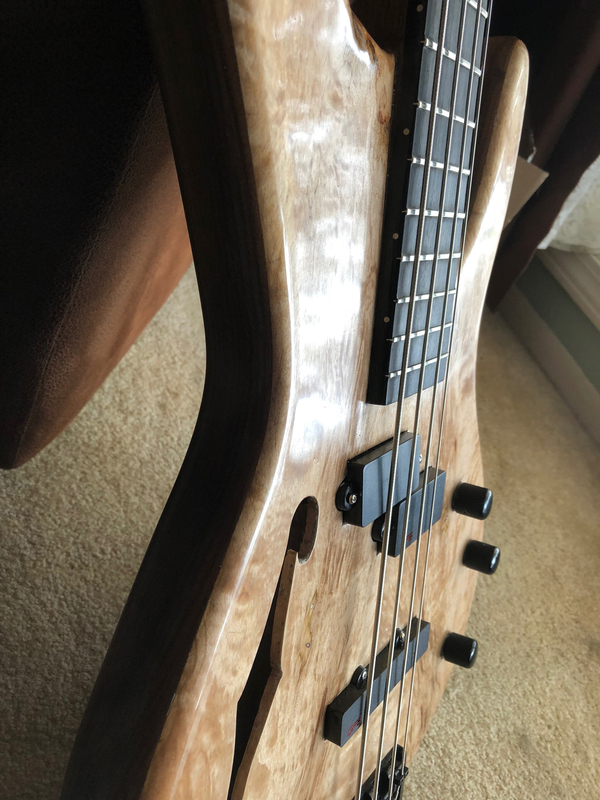 Light and sounds great! 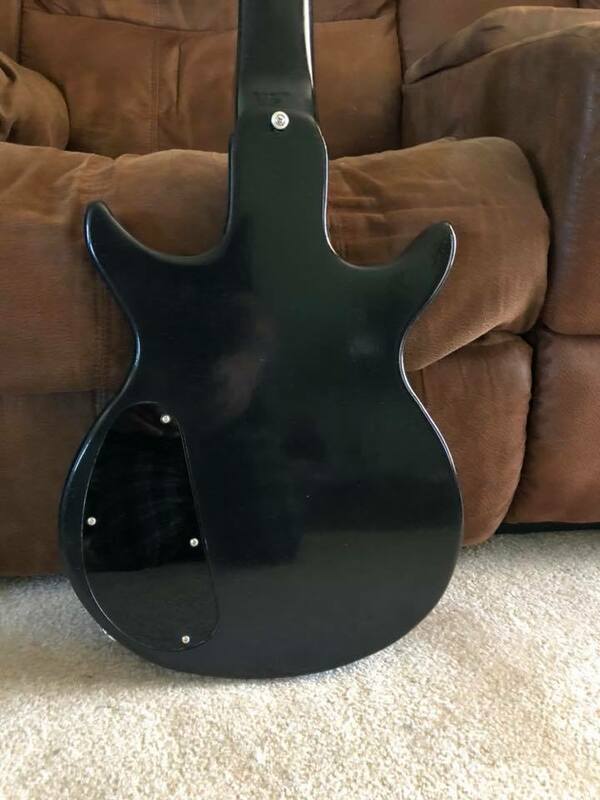 I saw this top on eBay and I had to have it! 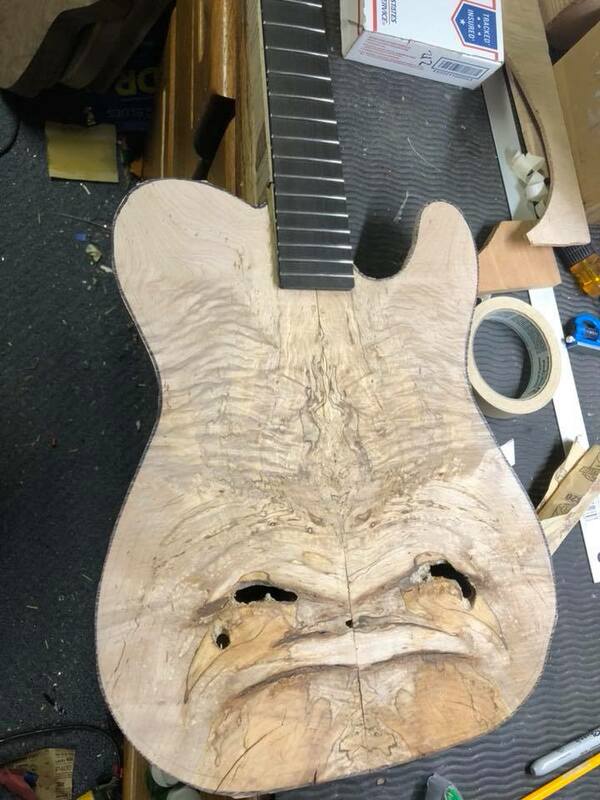 Ended up becoming a custom build for Slipknot Guitarist Jim Root. 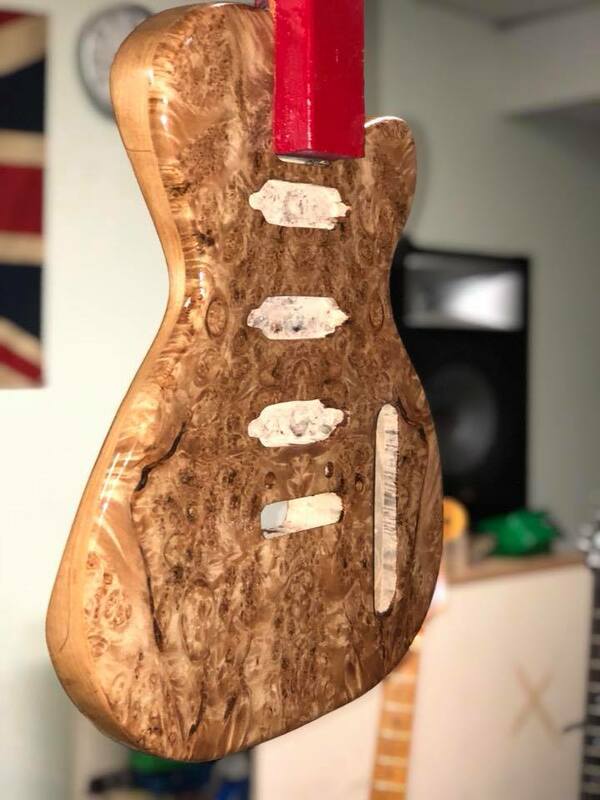 For sure my best work to date! 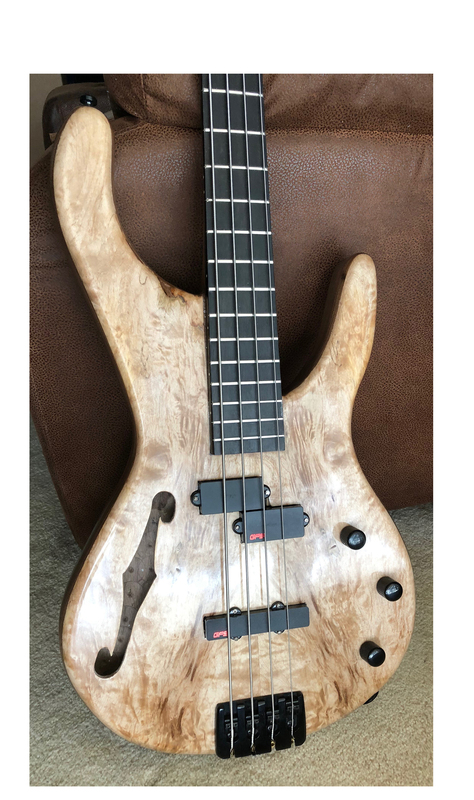 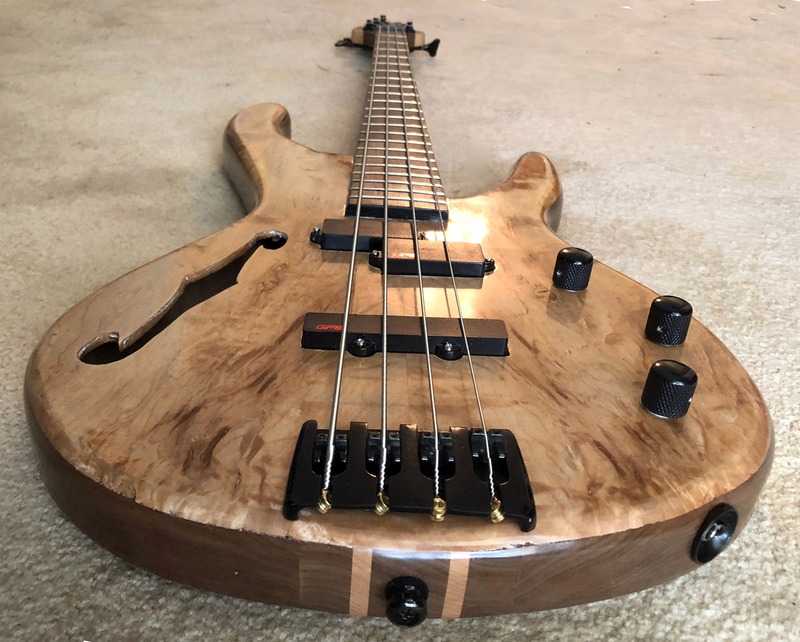 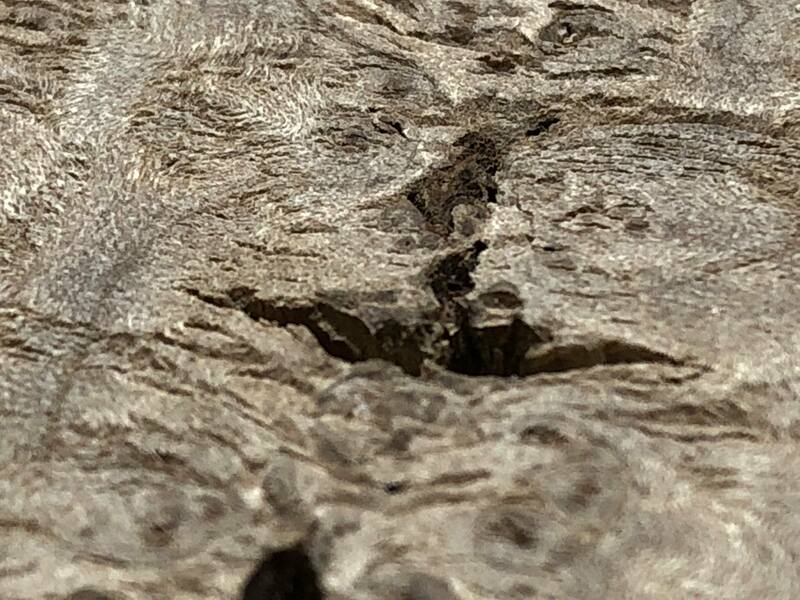 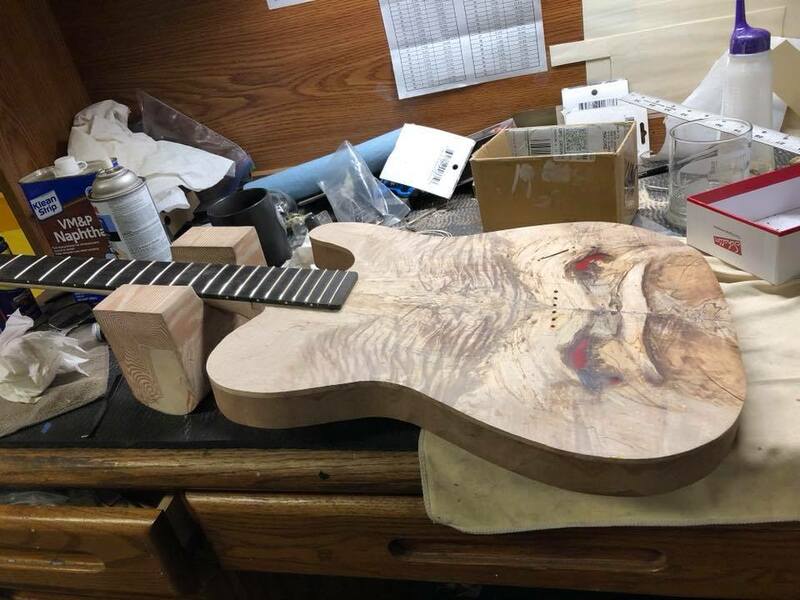 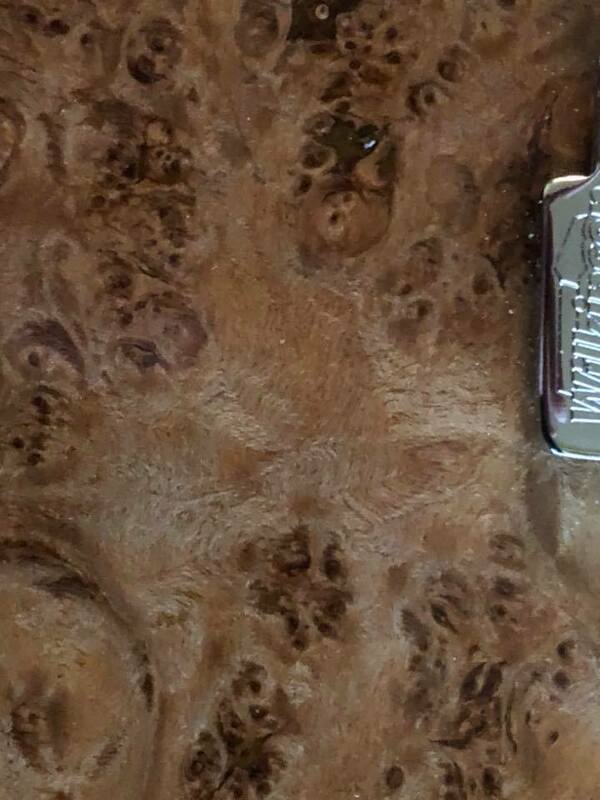 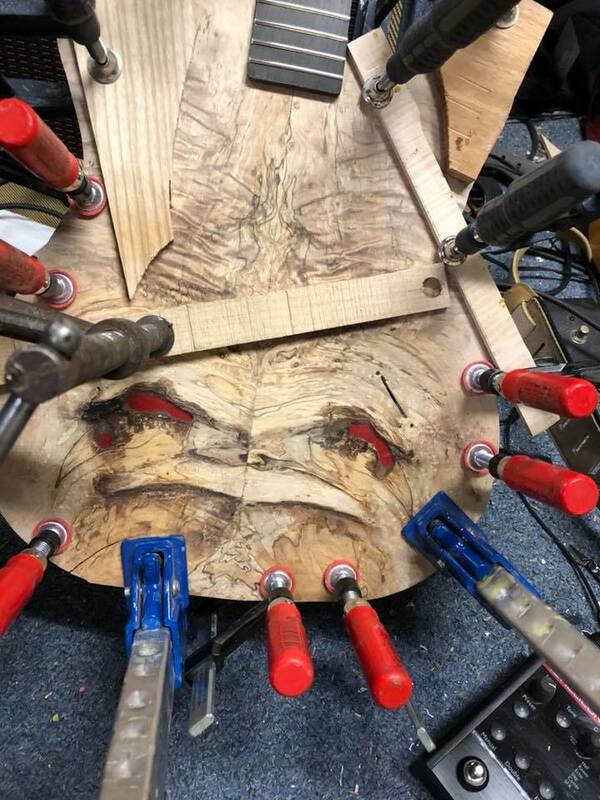 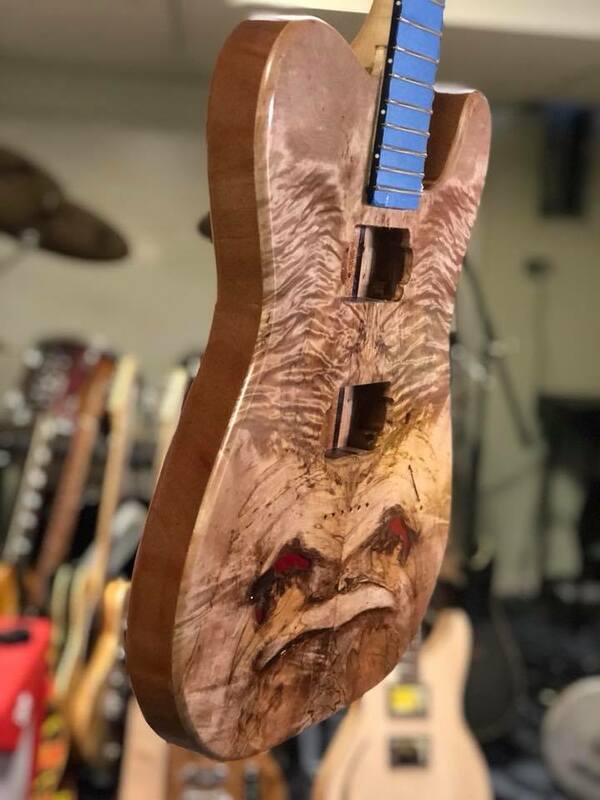 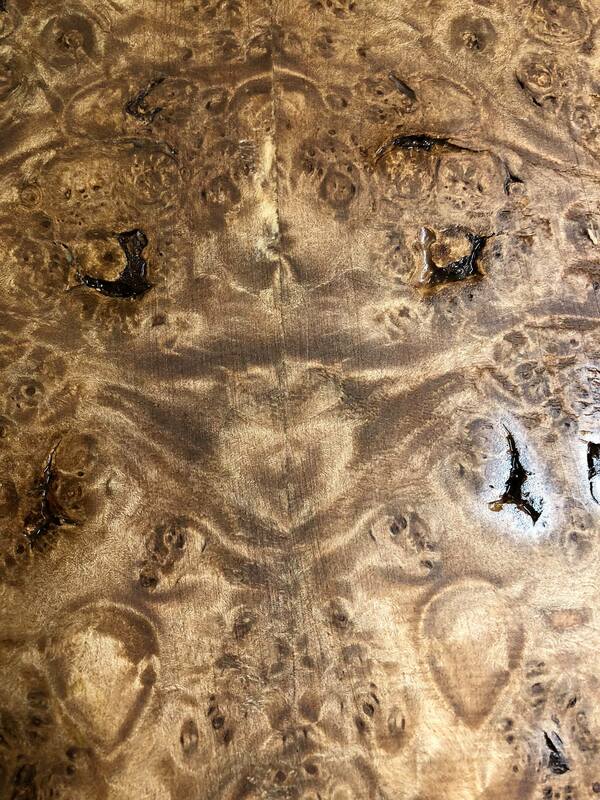 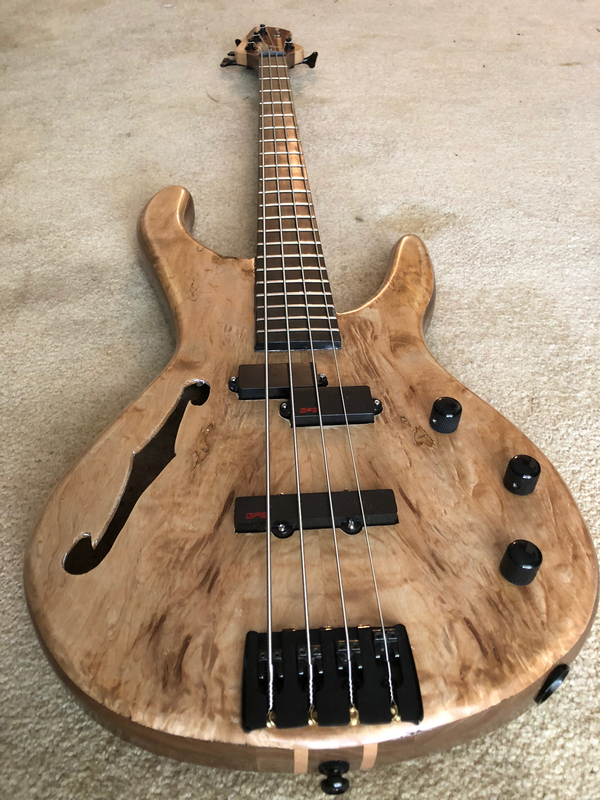 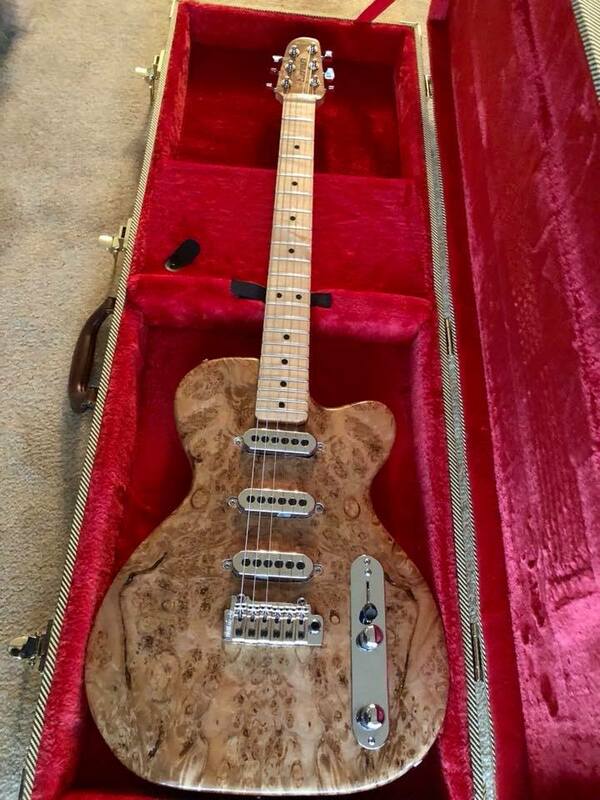 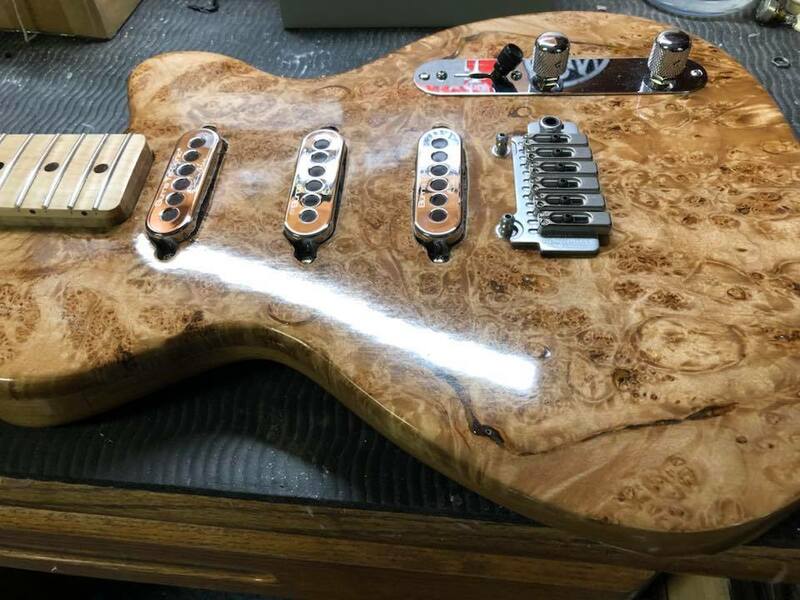 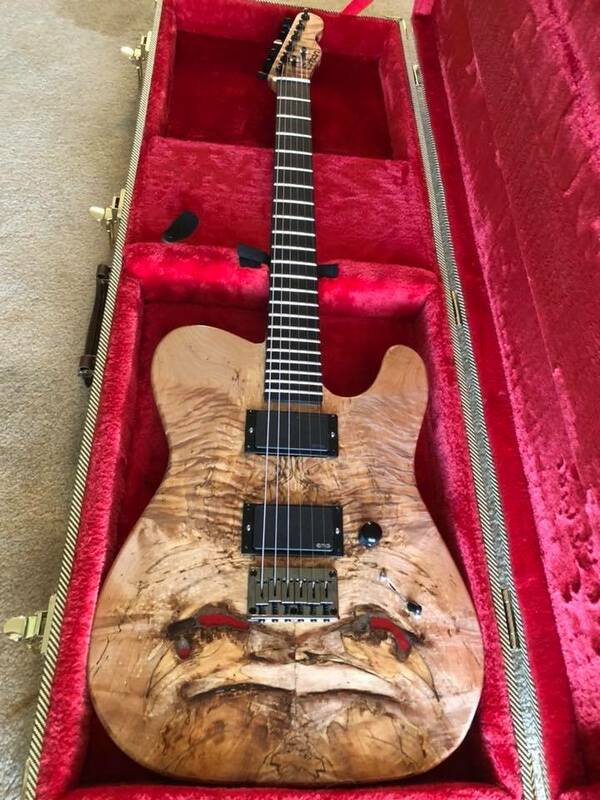 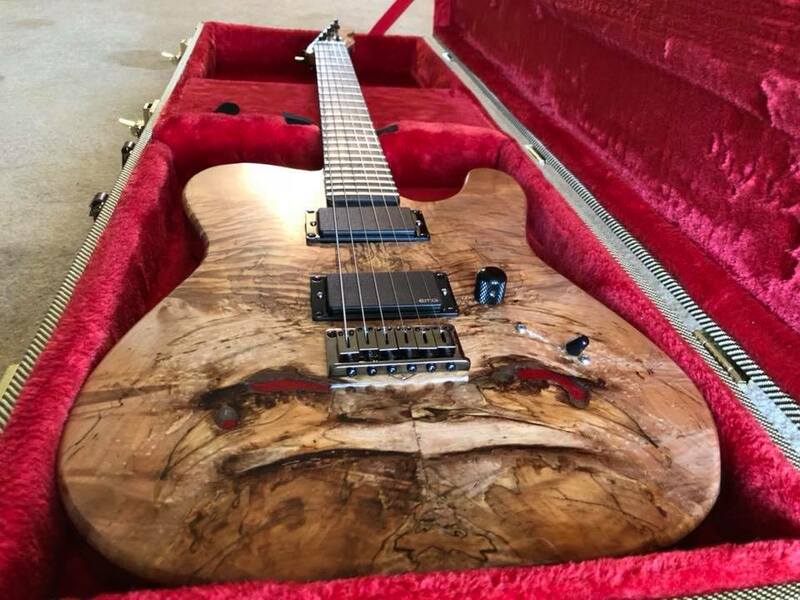 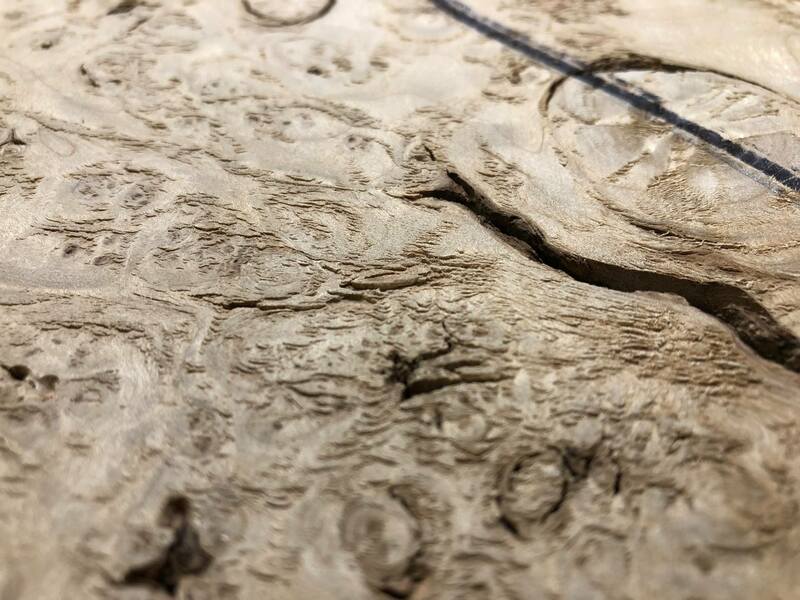 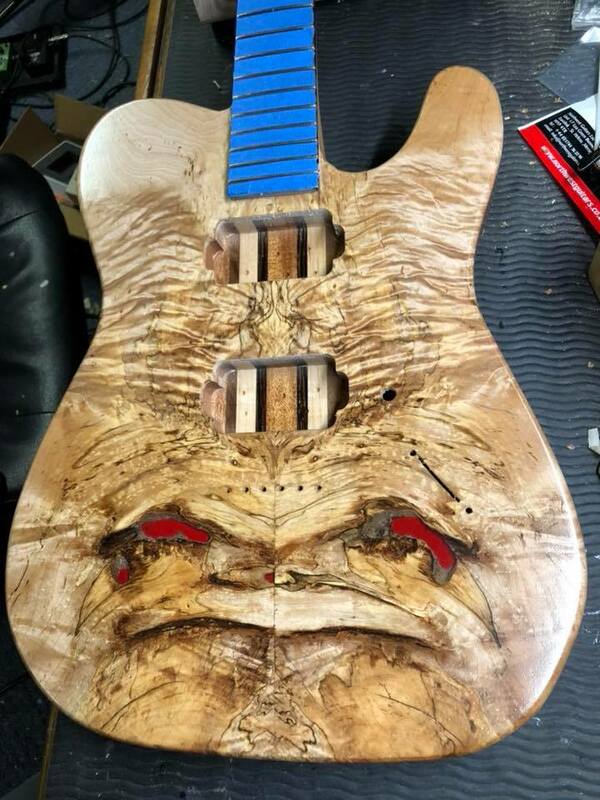 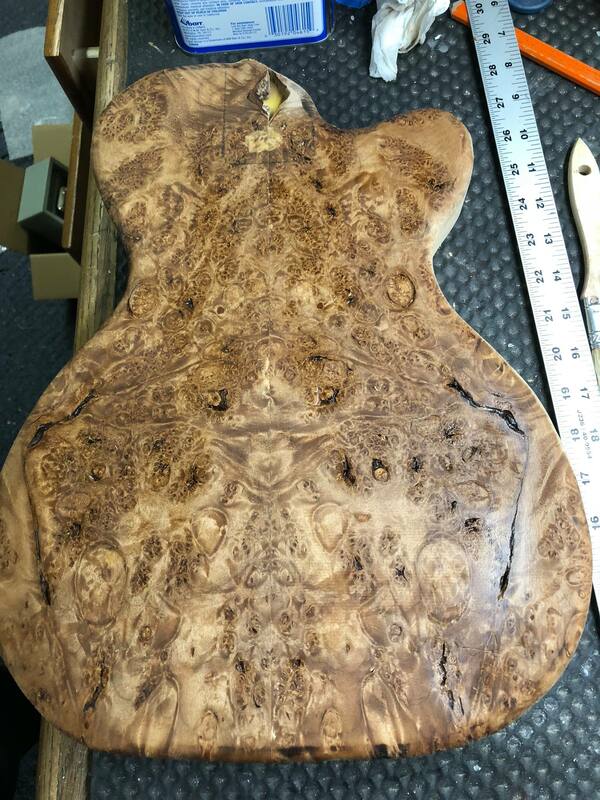 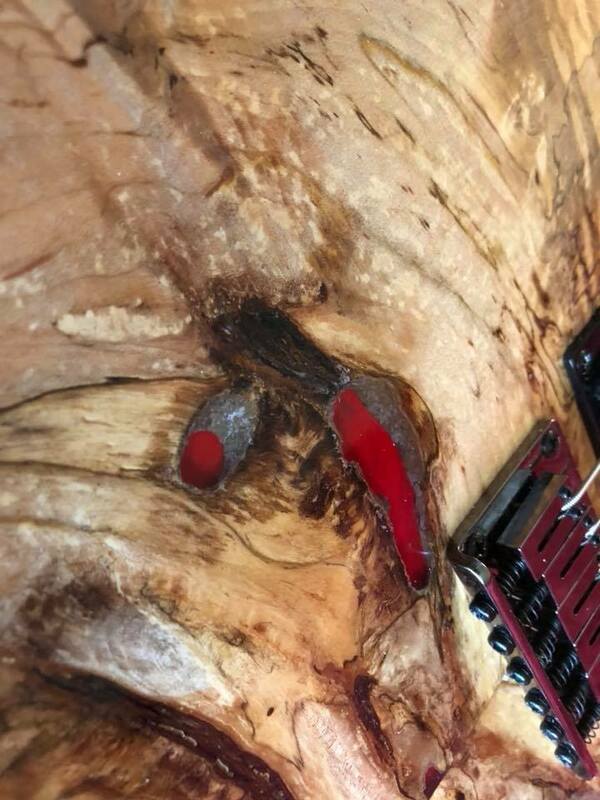 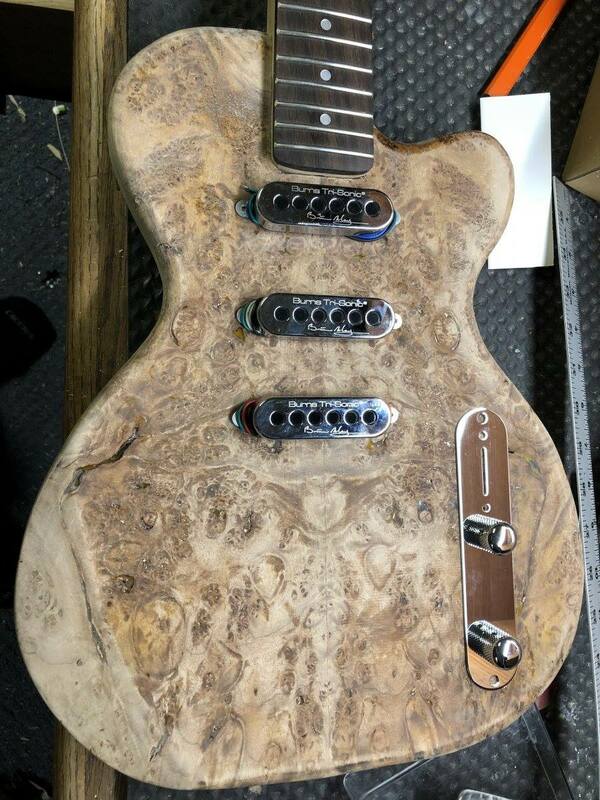 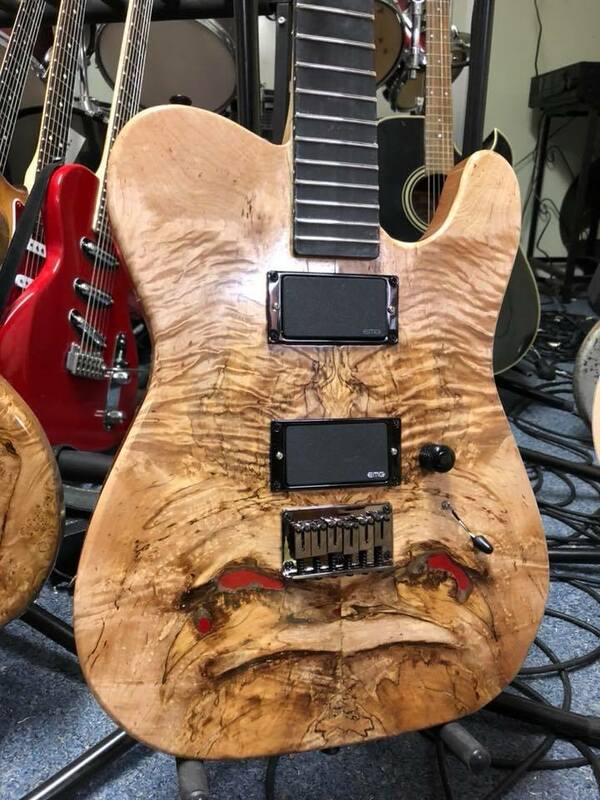 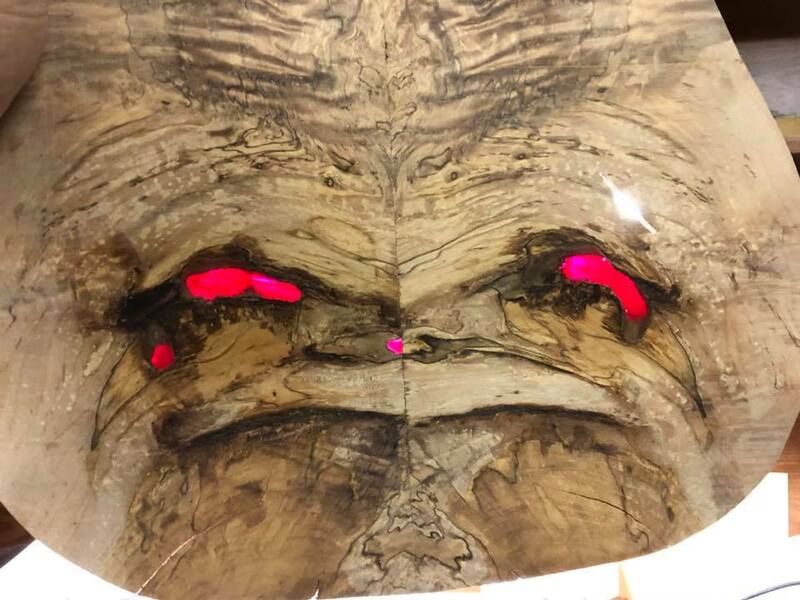 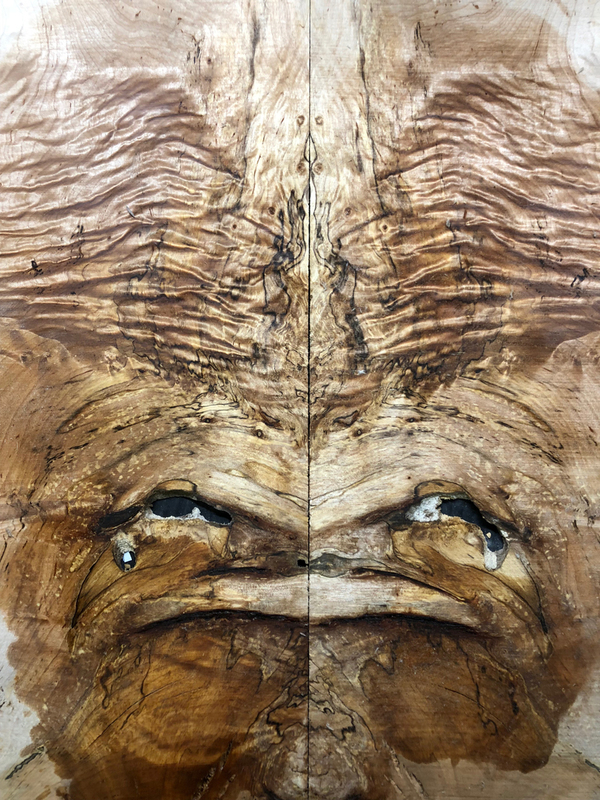 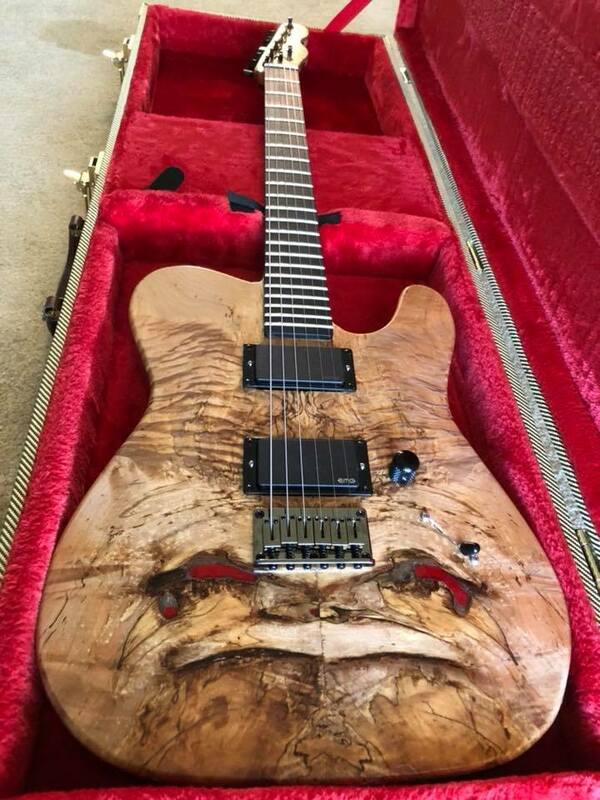 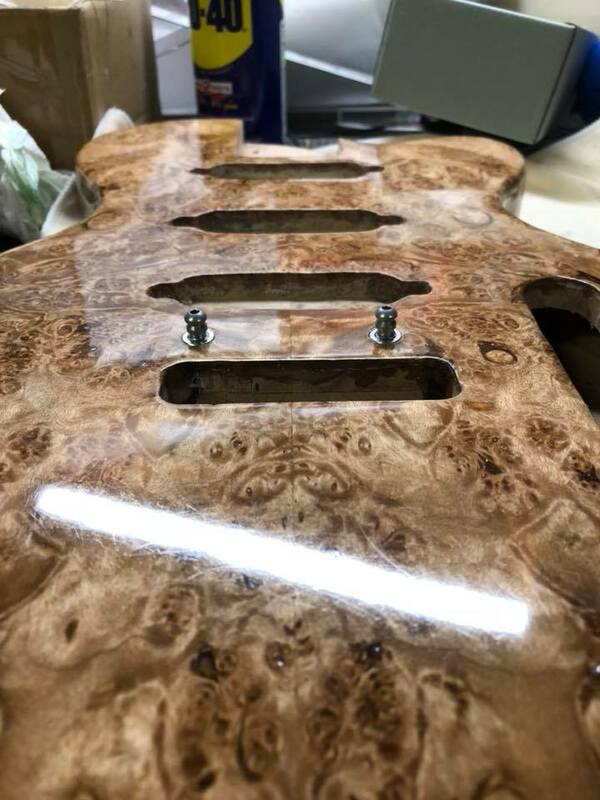 I had this burl top laying around for a while, I was going to use it on a high end bass but decided to go ahead with this six string instead. 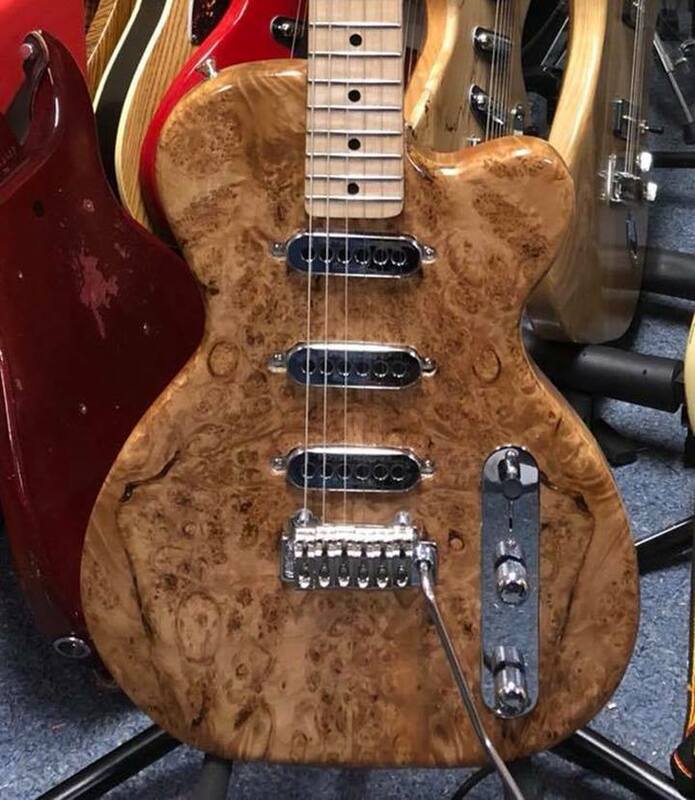 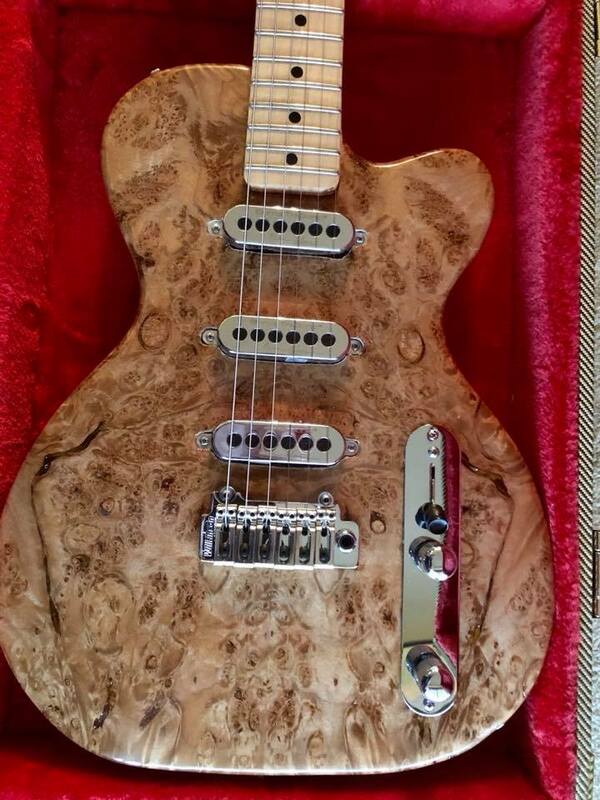 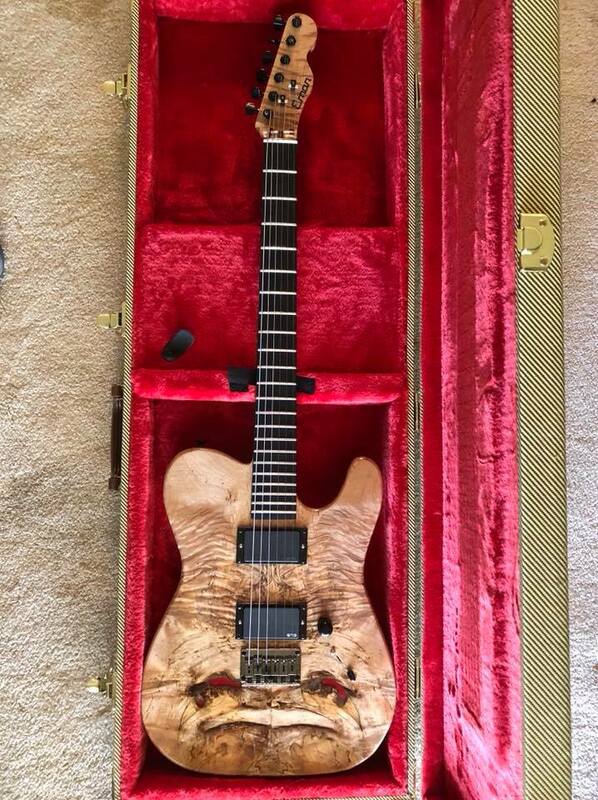 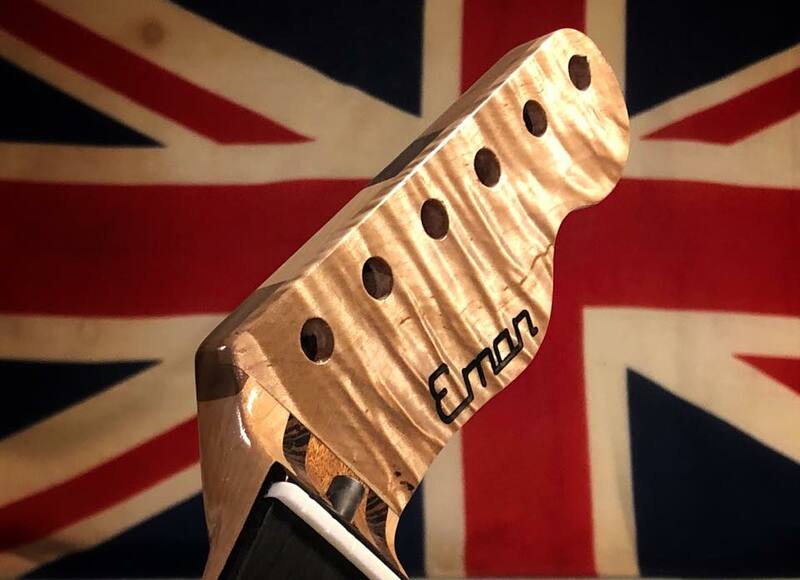 Alder body, figured maple neck with burl on the headstock. 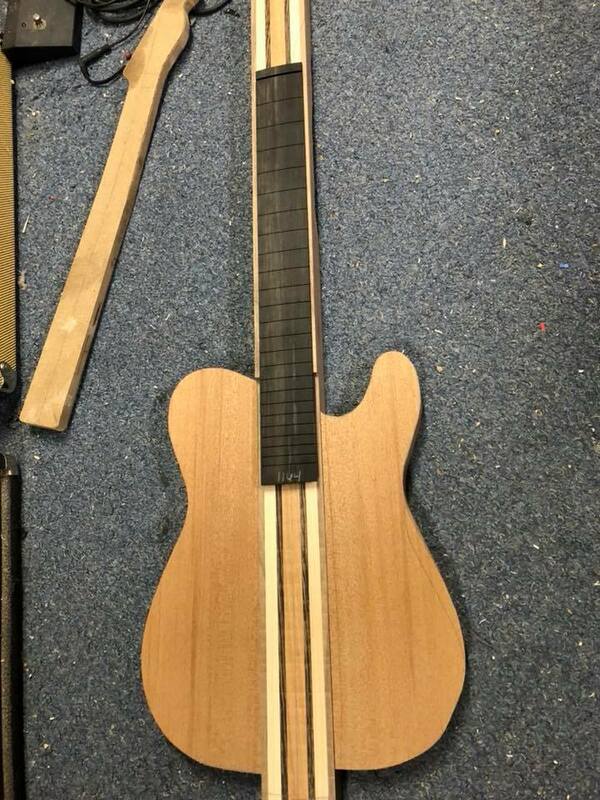 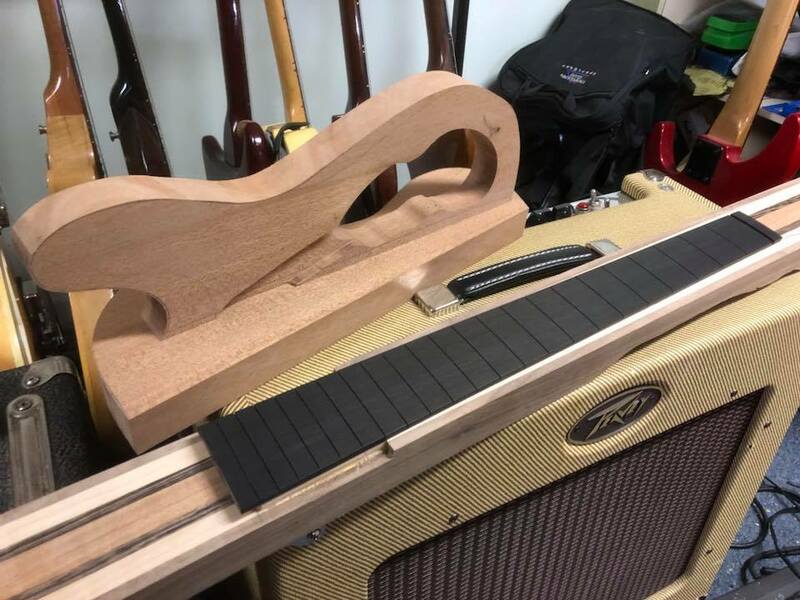 25.5″ scale, medium Jumbo frets and 12″ radius. 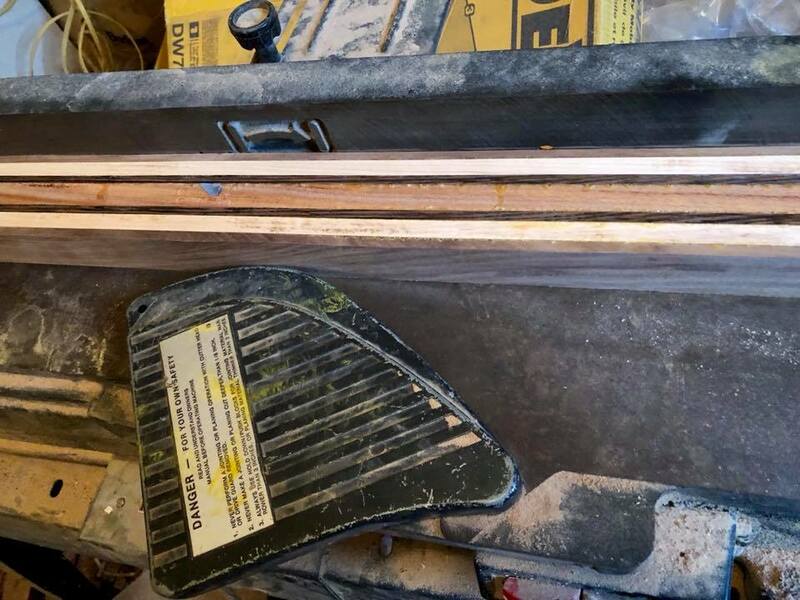 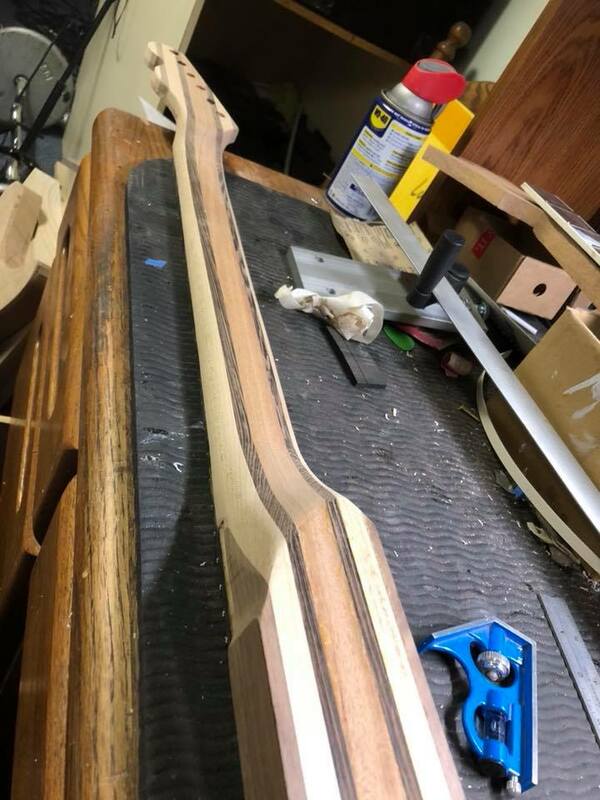 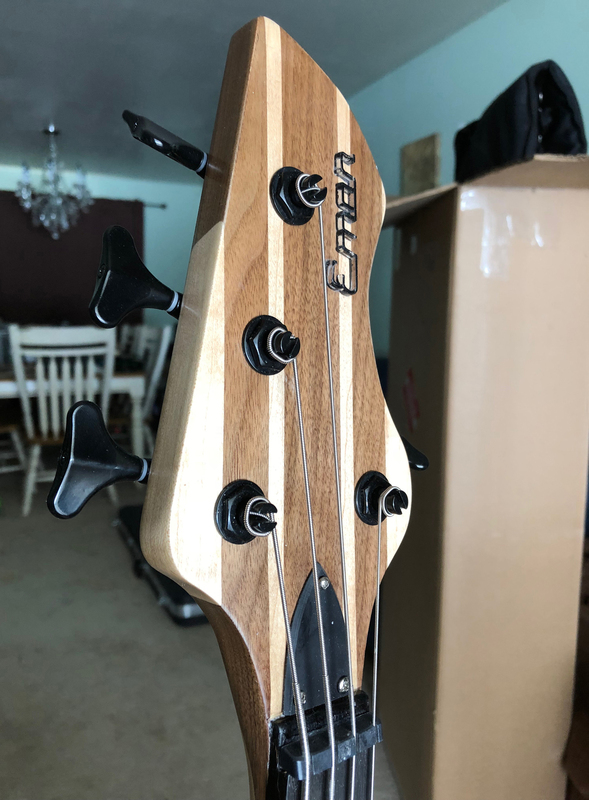 Two way truss rod. 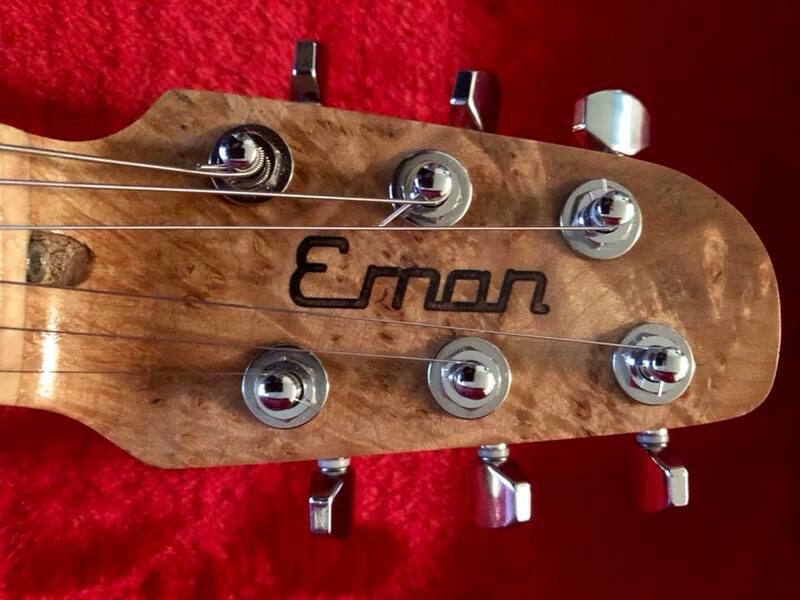 Locking tuners, Bone nut. 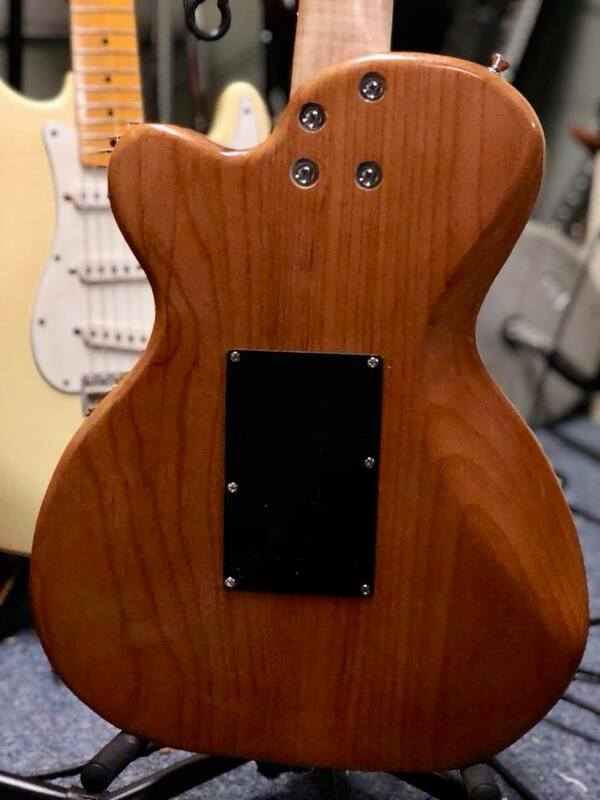 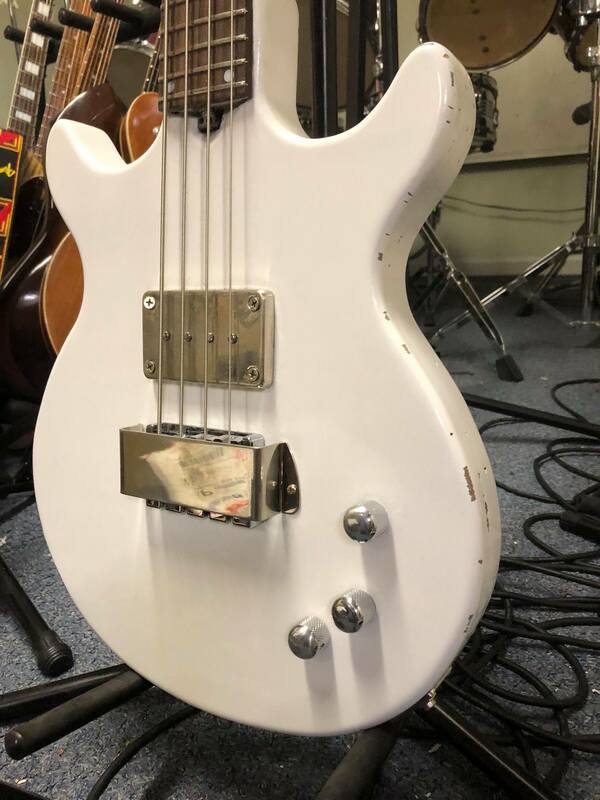 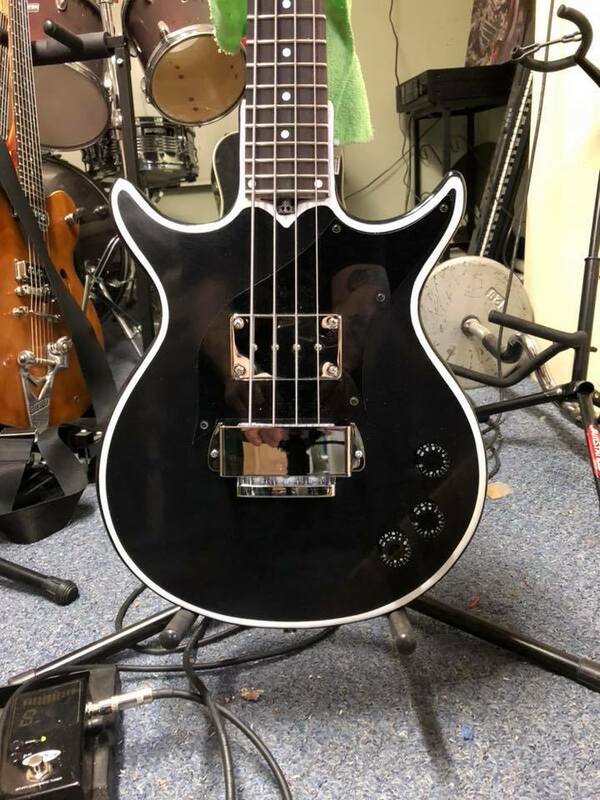 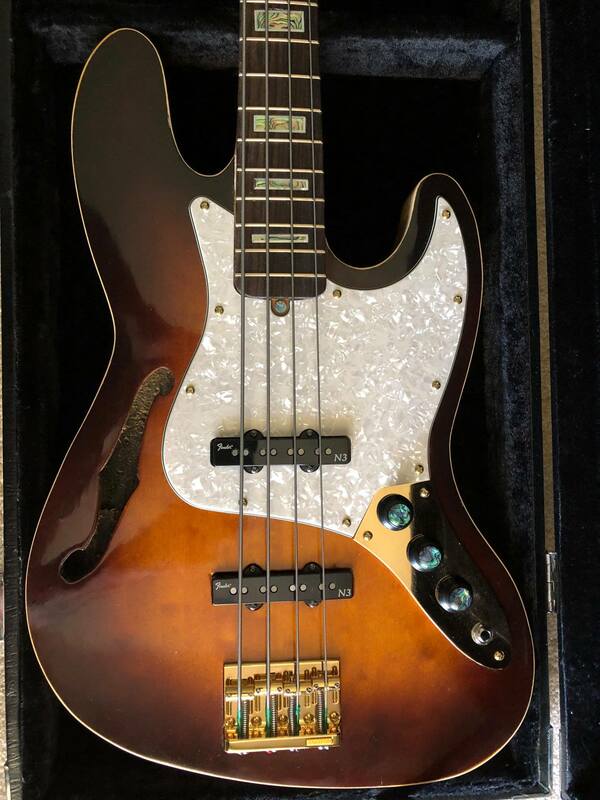 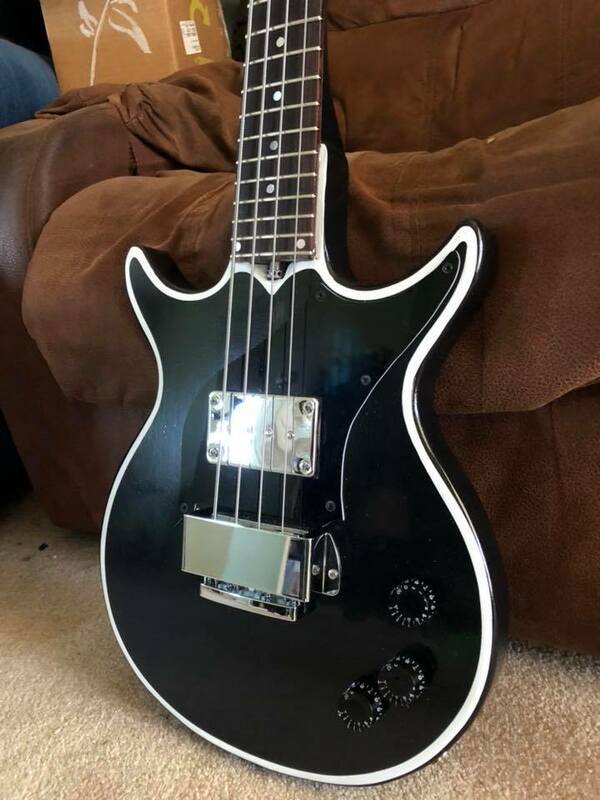 Pickups are Brian May Signature Burns Trisonics. 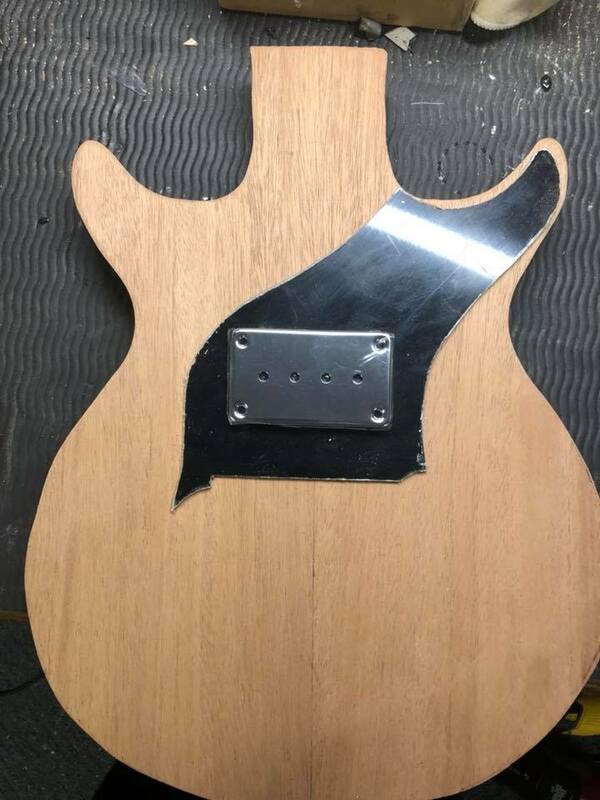 5 way switch for ‘normal’ Strat -type selection. 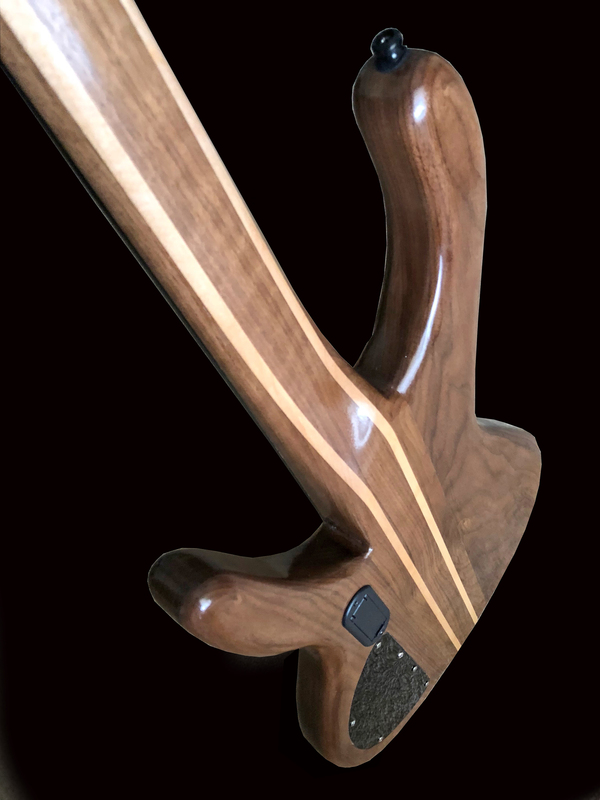 Push/Push Tone switches the neck pickup on independently for the additional option of bridge/neck and all three at one. 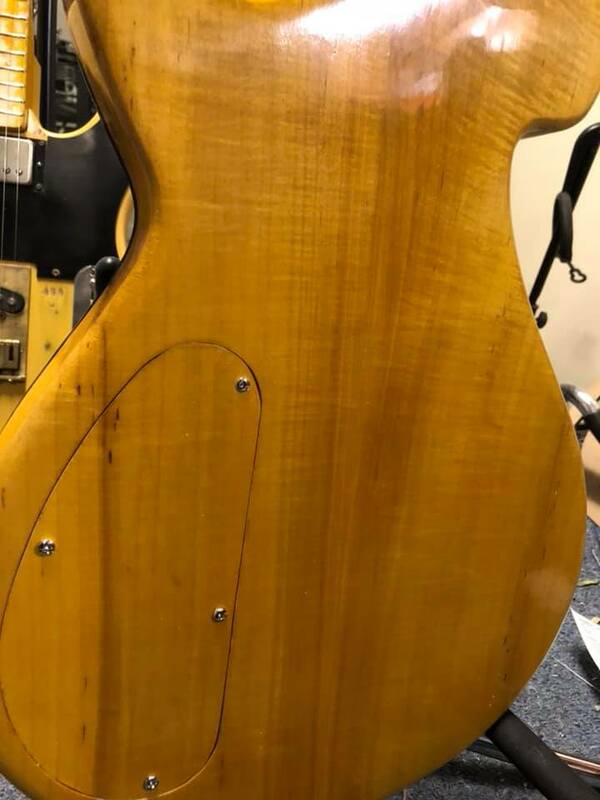 Volume is a push/push and in positions 1and 2 gives you the Bridge and middle in series for those cool Brian May tones. 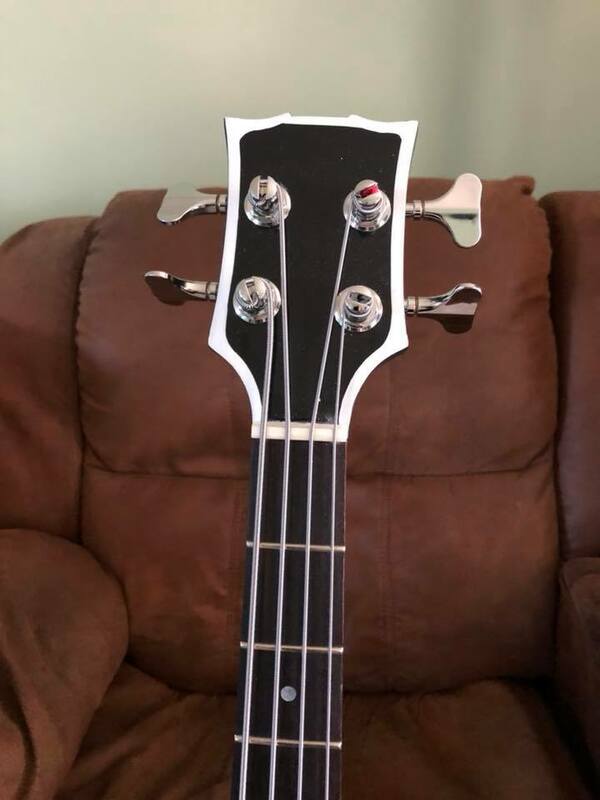 Positions 4 and 5 give you middle and neck in series. 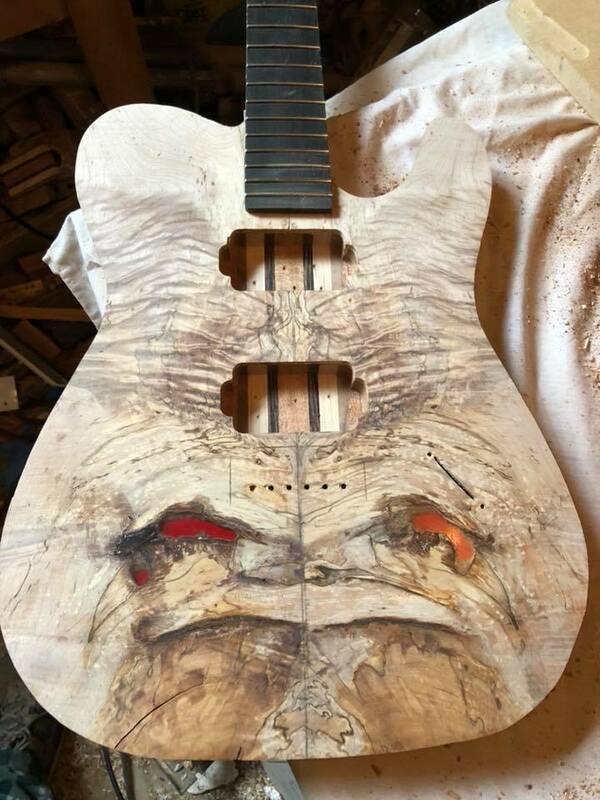 So that’s 9 individual pickup selections all from the classic Telecaster plate look. 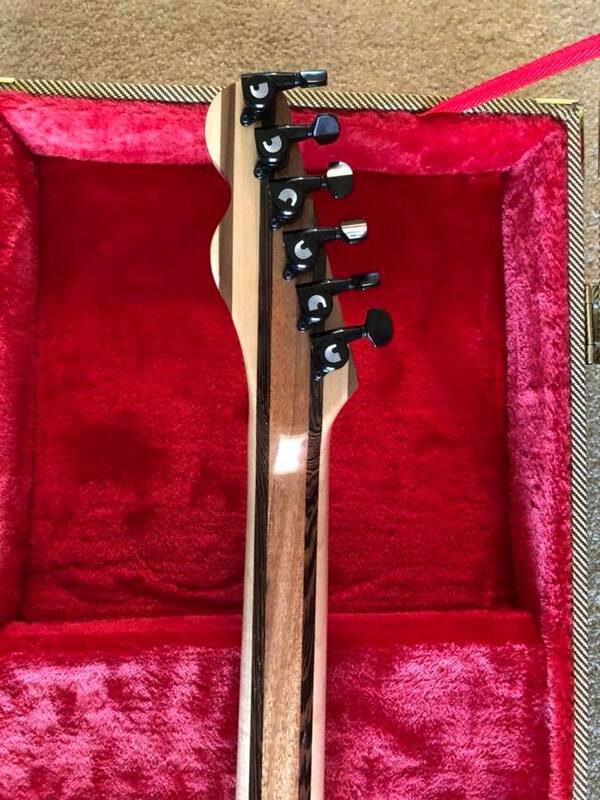 Bridge is Gotoh/Wilkinson 2 point trem in chrome. 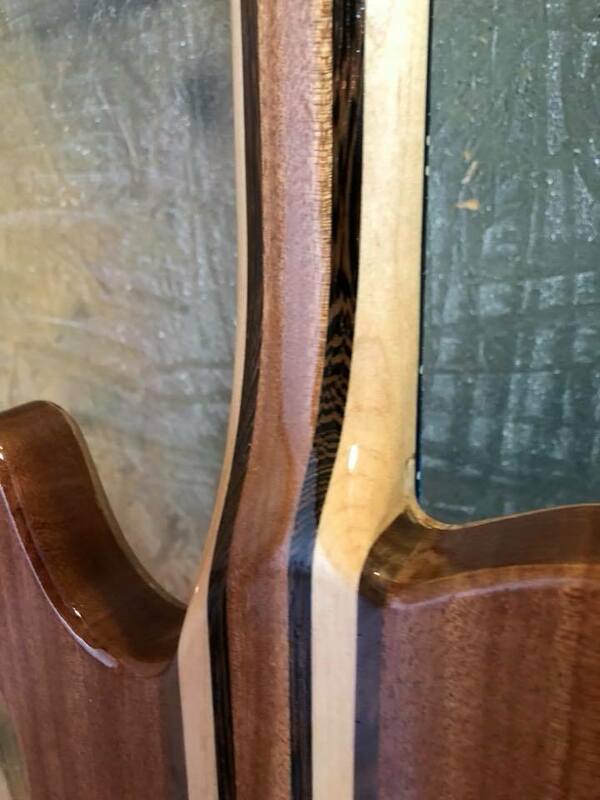 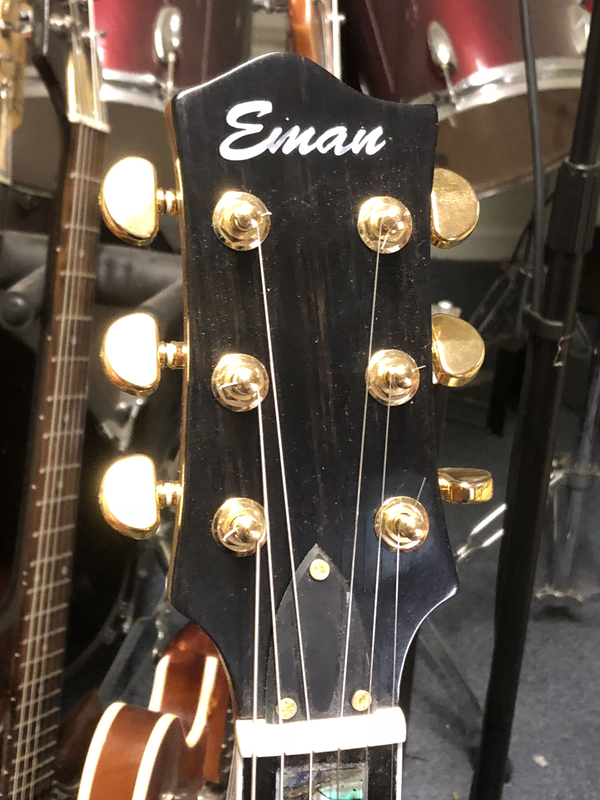 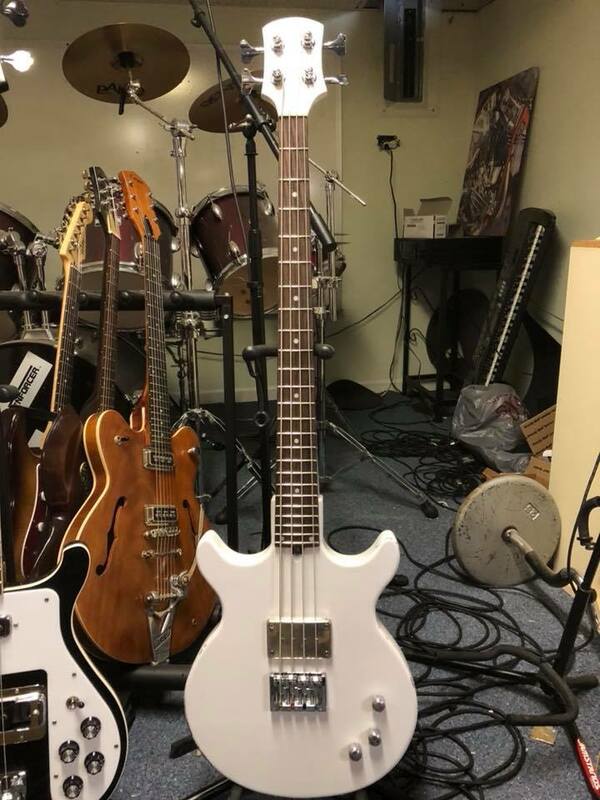 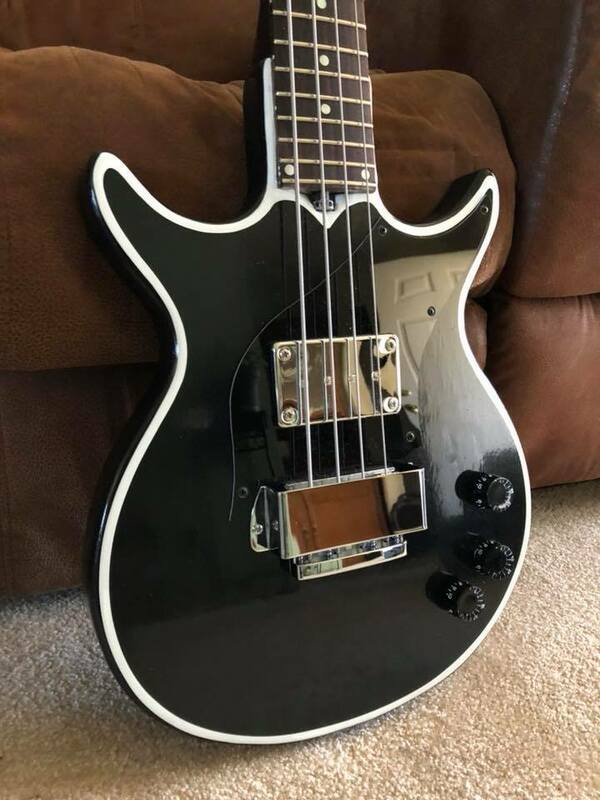 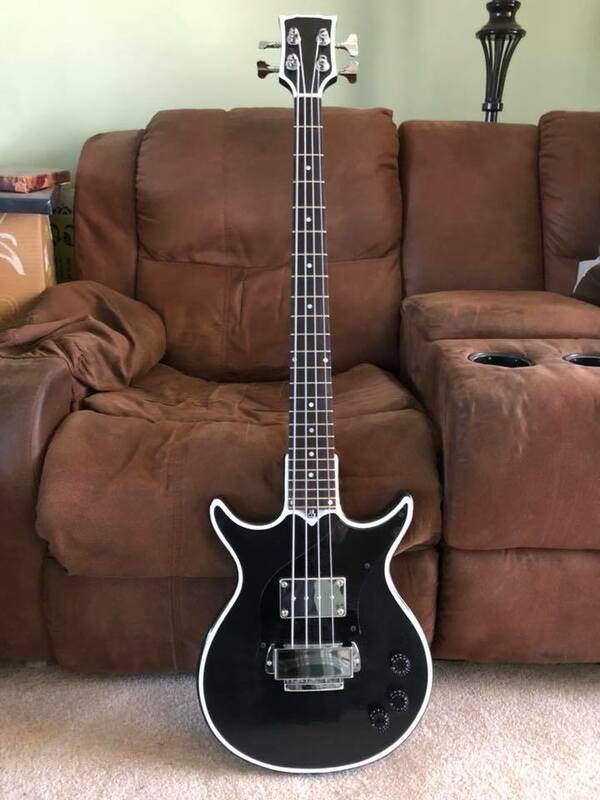 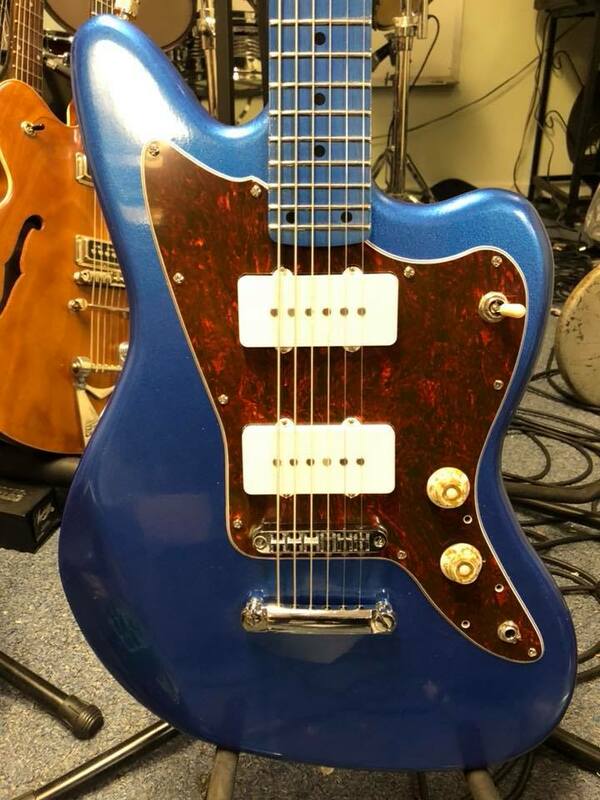 Shipping to lower 48 included, this guitar is CITES friendly and if you want me to ship it out of the country, contact me.